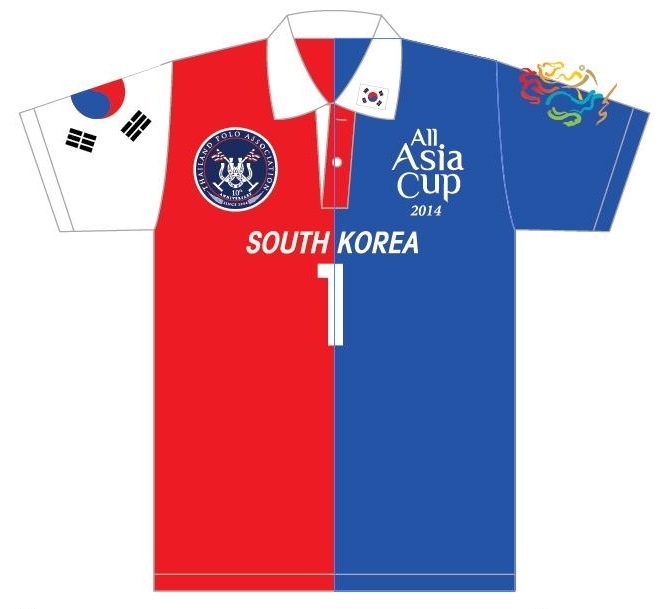 Eight teams have confirmed their participation in the 2014 All Asia Cup. 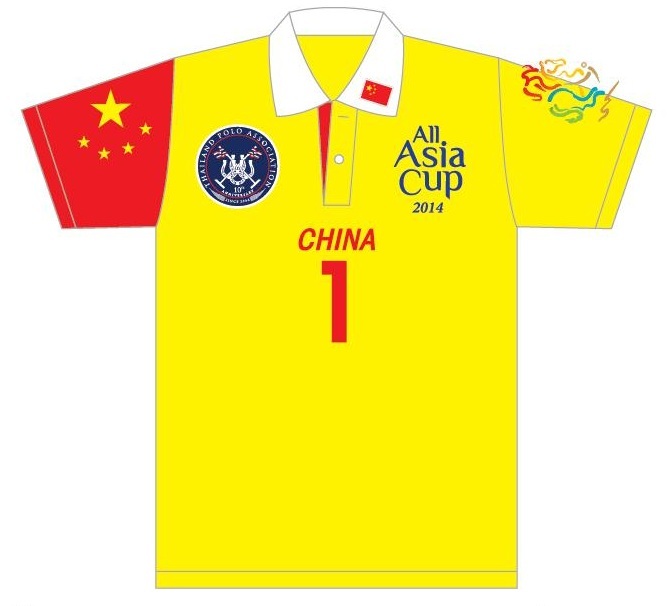 This tournament is held to show the world that Asia is united in its commitment to improving the standard of polo across Asia, so that one day, polo may return as an Olympic Sport. 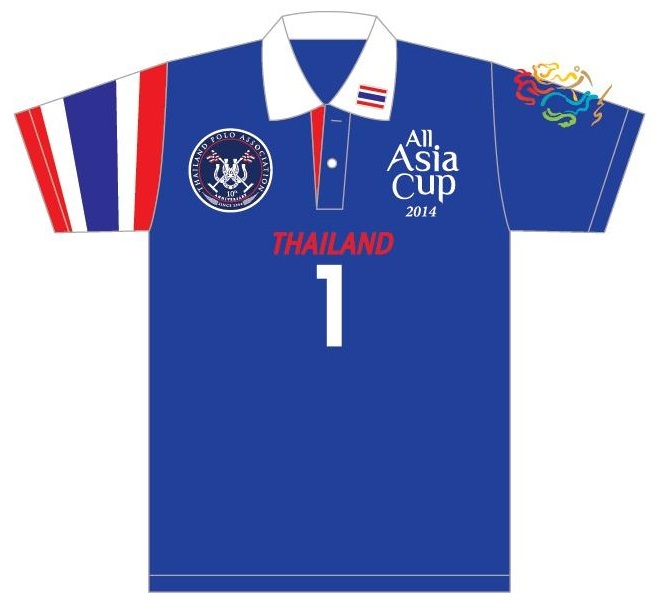 The All Asia Cup will be held from 9-18 January 2014 with 8 national teams (2-4 goal) at the VR Sports Club and Siam Polo Park near Bangkok. The following teams have confirmed -- Indonesia, Brunei, India, Korea, China, Thailand, Philippines, Mongolia. 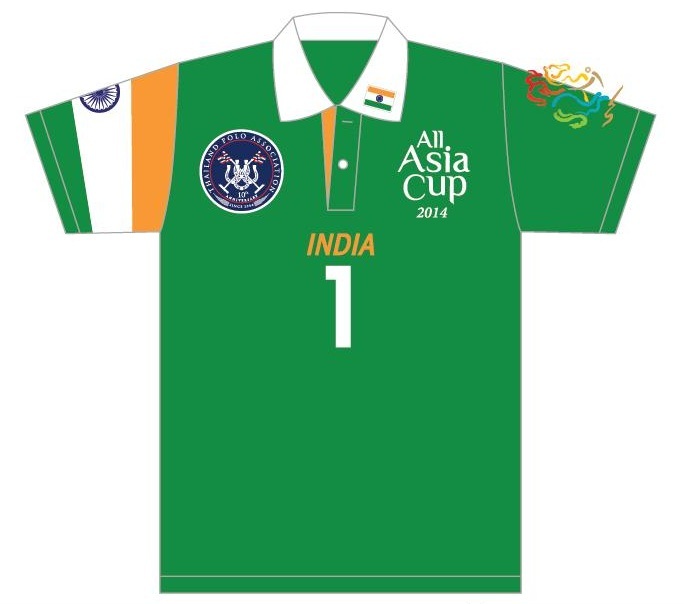 The All Asia Cup is famous because this tournament concentrates on a fair distribution of horses between the teams and unbiased umpiring from Senior HPA umpires. The horses are numbered, divided into categories, and drawn by the team captains from a hat. This tournament is played under HPA rules and officiated by Senior HPA Umpires. The Tournament is played with two Groups. Group A and Group B have 4 teams in each group. Each team will play all three other teams in their group. A win is 3 points. A tie is 1 point. The top two finishing teams on points will meet and play the Subsidiary Final and the Final on Saturday 18 January under the lights at VR Sports Club followed by a Gala Dinner. TEAM PLAYER QUALIFICATIONS -- All team members must hold a valid Passport from the country that they are playing for, or they must hold a Birth Certificate and ID number from that country. 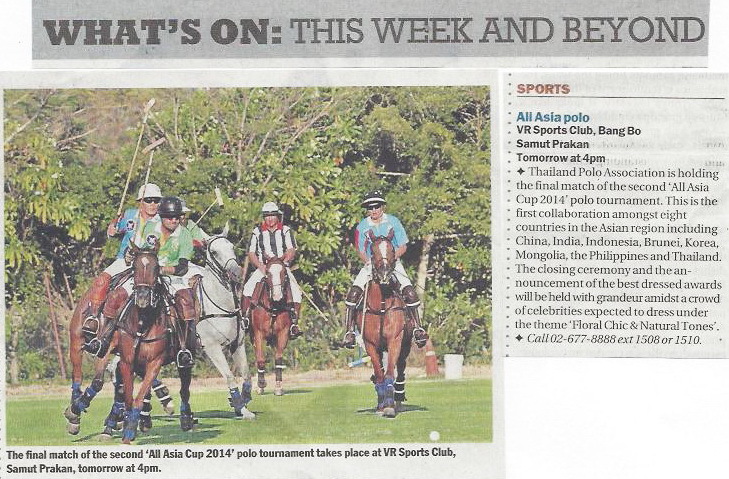 It was a splendid final day to an impressive week of Asian polo at VR Sports Club on Saturday. There were several thousand fans from Bangkok and all over the world turned out in very fine dress to witness the exciting conclusion to the All Asia Cup. The first match was for the Bronze Medal and Thailand played a very solid match against Mongolia. It was a very good experience to see the tactics and anticipation that makes a solid polo team. 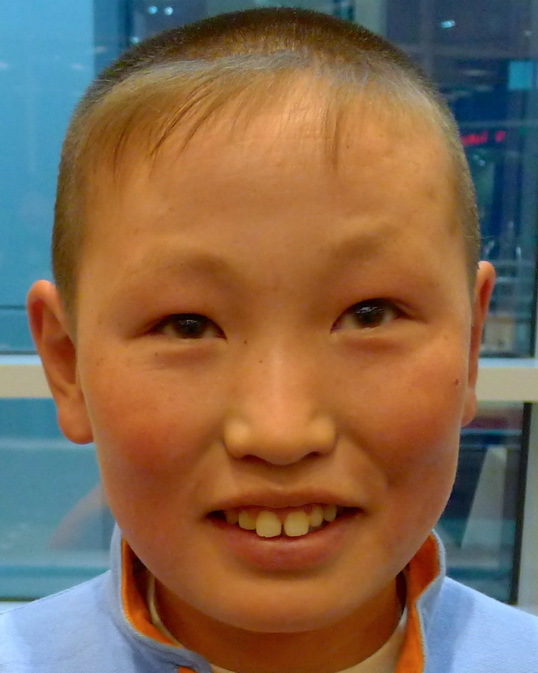 Mongolia also put in young Doda for the final chukka to delight the fans, and everyone enjoyed the match. The Thais finished the match with 9 well-earned goals. The field was promptly stomped in by all the spectators and the final began with Khun Vichai throwing the ball in between Indonesia and India. India received a Silver Medal in 2012 and they were hungry for victory this time. 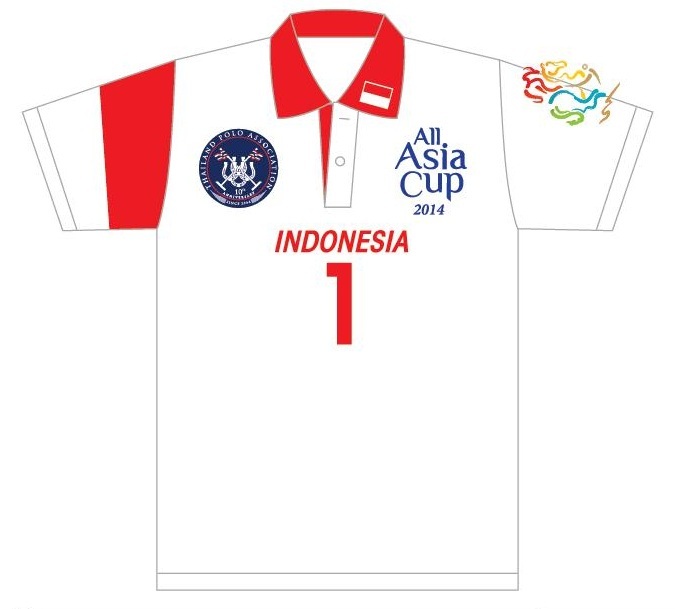 The Indonesians were one of the 5 polo teams at the 2007 SEA Games, but this was their first appearance in an All Asia Cup. These 4 humble gentlemen played with their hearts and very precise planned plays kept them on the offensive throughout the match. Indonesia took an early lead, and this put India under pressure. India closed the gap and then Indonesia would score again and keep the momentum. At the final bell, Indonesia had won the ALL ASIA CUP 6-4.5 and the fans went wild. It was a wonderful conclusion to a weeks polo with 8 national teams from across Asia. The "Royal Salute" MVP awards went to Enkhtsetseg Gierke on the Mongolian team for for being a terrific mother to two of the Mongolian polo team players, to Abby Pathak of India for his performance on the India team, to Khun Top of the Thailand team for excellent leadership and planning of the All Asia Cup, and to Acep Krisnander of Indonesia team who was a sturdy force at #1 and also a gentleman player in their match against China. Thank you to all our sponsors, players and friends for a successful ALL ASIA CUP 2014. See you again in 2016. Khun Vichai threw in the ball for the first match between China and Thailand. Khun Nat was having trouble hitting the ball between the posts, so Khun Top took his turn and drove home the first penalty goal for Thailand. China fielded Shilai and Nan along with Diligen and Bao Yin from Inner Mongolia. The highlight of the game was the appearance of "SaiSi" -- the first polo pony bred and born in the Kingdom of Thailand. All eyes were on the second match of the day as Brunei mounted their horses and prepared to take on the young Indonesia team. Brunei and Indonesia had never played a match together before. Immediately, you could see two very different styles of play. Brunei was cool and collected, thinking and passing. Indonesia was trying a fast aggressive game, but committing many fouls. Brunei took the advantage with the penalties, then seemed ready to seal the match as Prince Jefri was playing brilliant center position, backing on defense and passing forward to Prince Qawi on attack. Brunei was quickly leading 3.5 to zero, then Brunei #2 Abu Kasim carried the ball the length of the field, but just missed the goal by inches. This gave Indonesia Captain Novel the chance he needed to stop the Brunei momentum, and turn his team around. There were 4 chukkas of end-to-end runs, hard rideoffs and sprints to goal. Prince Bahar sent several passes half the length of the field, and one center field penalty shot all the way over the back line just outside the goal. It was an amazing game to watch, which could have gone either way, but at the final bell, Indonesia had captured their first victory in the All Asia Cup. One of the most furious battles that we have ever seen on a polo field was fought out today between Indonesia and Thailand. It was full on. Two 4 goal teams playing with all their hearts and tactics in front of a packed crowd on the SPP field. The score was tied at 2. Then Indonesia sneaked ahead. Thailand answered. In the 4th chukka, the score was tied at 3. No one on the sideline would utter a word. The Brunei Team could not leave their seats to go and prepare for their game. Indonesia carried the ball down and scored. It was Thailand's turn to answer. Repeated attempts by an excellent teamwork of Top and Nat blocking, carrying and backing up each other, released two attacks on goal with passes up to Khun Tsu and Khun Tal. The ball was just missing on the left and right. Acep did a head flip off of his horse, and the ambulance drove onto the field. He was out for nearly 10 minutes, but then he climbed back onto his horse. The battle continued, and at the final bell, as the dust settled, Indonesia had held onto their lead and claimed 3 points in All Asia Cup competition. The Thai team showed tremendous sportsmanship in thanking the Indonesia team and the umpires for a good game setting the absolute standard for honor and fair play in the ALL ASIA CUP. The action moved to the VR field as Brunei suited up to take on the China team. China scored off the throw-in. Then Brunei answered. Again, and each team answered. The score was 2-2 at the end of the first chukka, and all spectators were stunned at the China performance against a stilled and practiced Brunei team. Brunei then turned on the power and carried the ball down to score with a second goal from a penalty. As the lead increased, Brunei was able to control the ball more and settle down the pace of the game to hold onto their lead. A beautiful lofted goal by Prince Qawi brought the Brunei fans to their feat. The scoreboard clock malfunctioned and the "3rd Man" Pete McCormack leaped into action with his iPhone to save the day with precision backup timekeeping. Two excellent games on Day 2 for Group B. Tomorrow's match between Thailand and Brunei will be one of the highlights of the All Asia Cup tournament -- don't miss it. An amazing day in the final day of playoffs for the All Asia Cup. 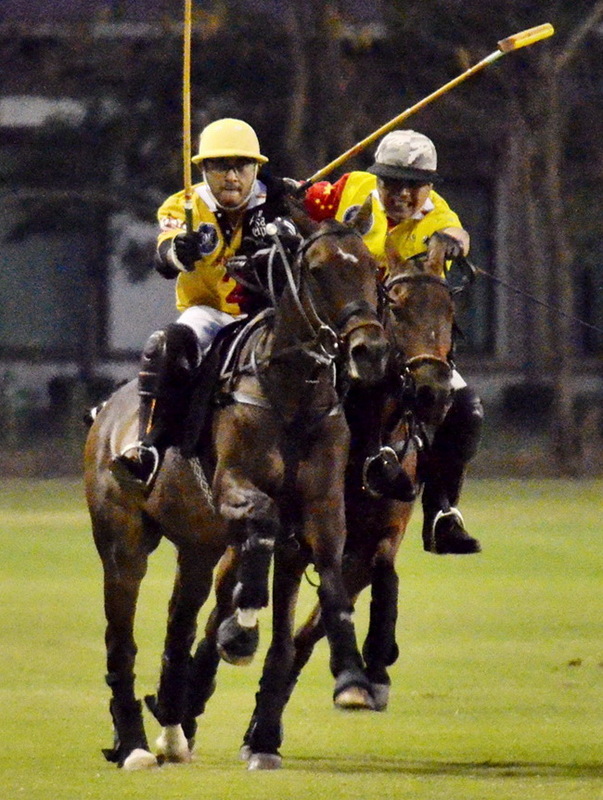 China surged ahead of Indonesia and took a 2.5 goal lead in the second chukka. The crowd was aghast. Indonesia had lost their concentration. The Indonesia coach was speechless. China had surprised the Indonesians with half-chukka horse tactics. Fully legal, the Chinese were changing horses half chukka to keep the horses fresh and stun the Indonesians with Sun Tzu's "Bin Fa" (the Art of War) tactics. Then a careful and calm regroup and counter-attack began as the Indonesia team kept their nerve and stayed the course to narrow the gap to only half a goal by the end of the chukka. 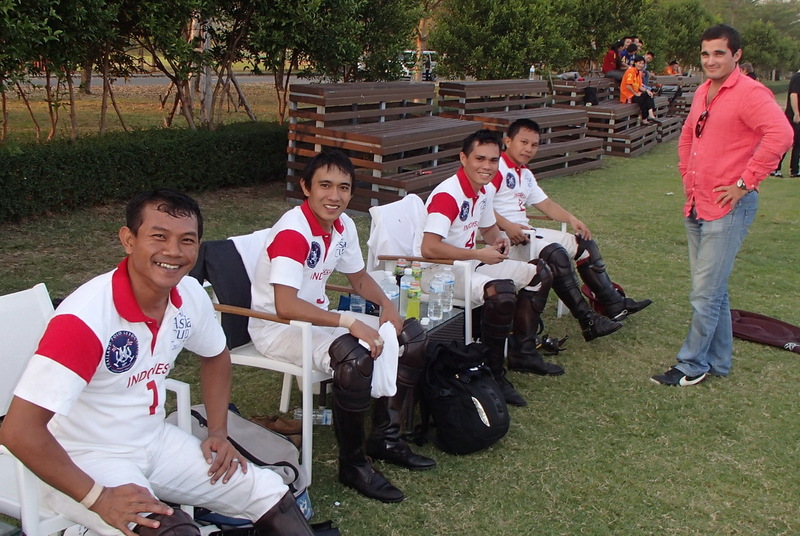 Indonesian "Kompassus" tactics were working and they increased their lead in the third chukka. Acep from Bandung had recovered nicely from his head-first aerial somersault on the previous day and was back up front to receive the passes from his team. China player, Nan Liu, lost his stick in the 4th chukka, and Acep showed excellent sportsmanship by stopping his horse, picking up the Chinese player's stick and handing it back to him. The crowd cheered and play continued. It was a very fine game to watch, and the Indonesia coach informed us that Prabowo Subianto said he will try to come to watch his team in the final on Saturday. Over on field 2, in front of the VR clubhouse, Brunei and Thailand rode onto the field. There was everything to play for. The winner of this game would advance to the Sub Final on Saturday. 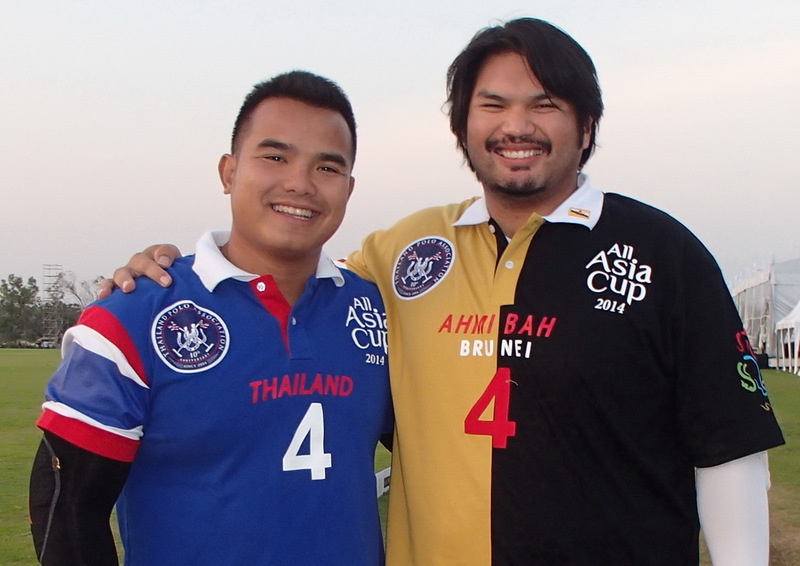 For the first time in the All Asia Cup 2014, there were two "Big Guns" (Pookulan Kuat) on the field at the same time -- Khun Nat for Thailand and Prince Bahar for Brunei -- and the guns were fully loaded and ready to go. It was a fierce battle. Khun Top led his team brilliantly. Goals flying from all directions. Khun Tsu was on form and shooting spectacular shots on goal. Khun Tal was in all corners driving and defending. The crowd was on their feet. Brunei deployed their "second team" to ride off the commentator and encourage the Brunei team to glory. Prince Jefri ran a charge down the left side of the field, across the goal, and under the neck for a goal. The "Big Guns" kept firing from the back line. The ball was racing over head like rockets in the air. No one could believe the fierce battle that ensued on the field. The Third Man, Pete McCormack, was going wild. He had never seen such a game. And then the final bell sounded. The "Big Guns" went silent, and the soldiers lay down their arms. Thailand had made it through to the Sub Final. There were big smiles on all teams for a match well played. Brunei announced that they would remain through Saturday to watch the Final and to cheer for Doda if she rides onto the field again. Another magnificent day of polo as THAILAND and INDONESIA advance from Group B to the Final. An extremely exciting day of polo with Mongolia scoring the first goal of the tournament against India. Everyone was impressed with this young team's performance. Abby said he was a bit worried after the first chukka, but Captain Shyam and the two Singhs showed the value of experience with good team play and consistency to win through in the end. JB and the Rocks with David, James and Jerry showed great pride as they led the Korean team onto the field for Korea's first ever appearance as a national team in an international polo competition. Some very nice teamwork and a tremendous learning experience for this young team with their new coach The Bach-a-mann watching from the sidelines. Philippines demonstrated that they will be force to consider in this tournament as their captain Mikee Romero soon to arrive and join the team for tomorrow's action. The Koreans were very pleased with their improvement today and scored two remarkable goals against the Indian Juggernaut. J.B. pointed out that the players were interchanging to give as much play time as possible to all 6 of the players. He also explained that they were concentrating on winning the ball at the throw-in, and passing the ball downfield. India showed consistent tactical superiority on the field, but team back Addy will be not be playing on Day 3, so anything could happen with their scheduled match with Philippines. The match of the day was definitely Mongolia and Philippines. Captain Mikee Romero was back on the field and in very good form. However, the Mongolians were on fire. The blood of Ghengis Khan coursing through their veins, D'Artagnan showed superior leadership skill organizing his young team on attack. Today, the Mongolians were anticipating and turning early to receive the back hand passes. 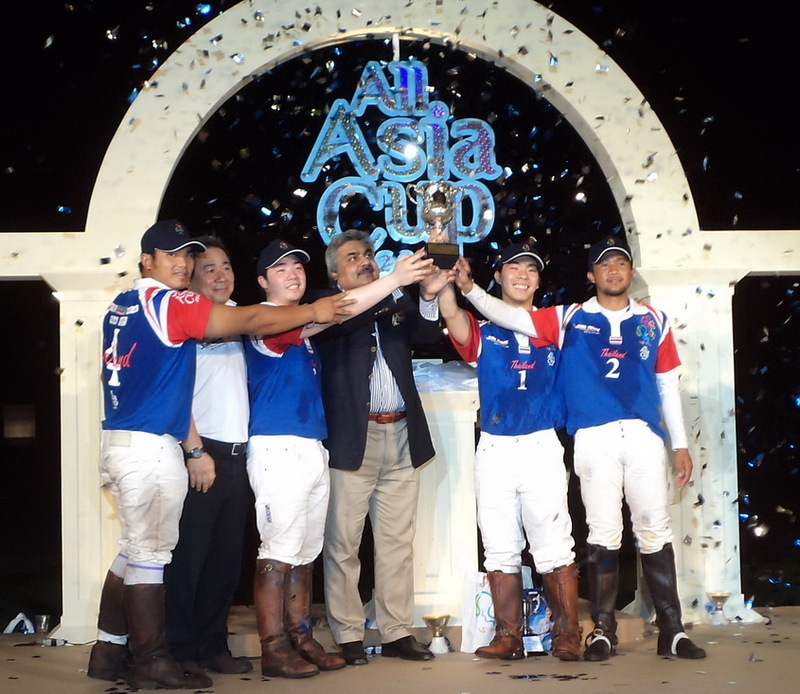 Philippines trailing by 3 in the final chukka came within one goal, but the Mongolians fought to the bitter end and captured their first victory in the All Asia Cup. Both India and Philippines played magnificent polo today. The game could have gone either way. Philippines missed two close goal attempts in the final chukka. Mikee played very well leading several charges to goal. Shyam Mehta was on very fine form wearing the #4 shirt for India and sending the ball down field for his team. The Brunei team had arrived on the field to survey the teams that they may meet in the finals. Fans from all corners had arrived on the field, and no one was disappointed. Congratulations to both teams. As if this would have been enough for the day, the action then began under the lights between Korea and Mongolia. There is no doubt in anyone's mind that Korea is the most improved team in the All Asia Cup. Today's action was end-to-end with Koreans attacking then Mongolians counter attacking. All the Koreans played very well. Not many fouls, but the Mongolians picked up the pace in the third chukka and give themselves a 3 goal lead with 3rd Man Pete McCormack in tactical support. This was the moment that everyone had been waiting for, and Mongolia manager Chris Giercke ordered 15 year old Doda onto the field. The youngest player and first female ever to take the field in an All Asia Cup competition was given a standing ovation from Prince Jefri and the Brunei Team watching from the balcony, as she rode onto the field. Doda didn't miss a stride and contributed several excellent passes to the Mongolian charge. J.B.Lee lofted a 40 yard penalty in for Korea, and the Mongolians led a final charge as a huge Mongolian flag was raised on the side of the field behind His Excellency Battumur Chimeddorj, The Mongolian Ambassador, who had come to cheer his young team. Today's matches were possibly two of the best of the tournament, so far. India and Mongolia will advance to the Finals on 18 Jan 2014. Mikee Romero watched this final game and made the mistake of saying he still wanted to play more polo. Khun Vichai looked at him and said to Lukas, "bring more horses - 4 more chukkas." Vichai and Mikee's team in white then took on Top and Tal's team in blue in a pre-Group B teaser. Mikee had played a full 8 chukkas by the final bell, with a tied score of 8-8, and he was so exhausted that he couldn't remember which goal to shoot on. 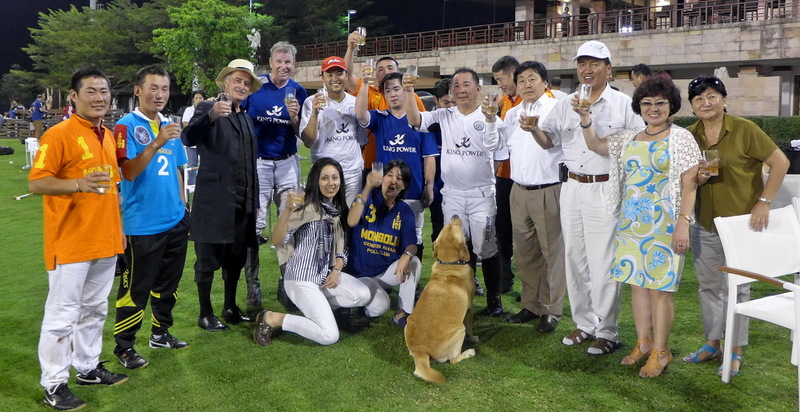 Then all the white and blue players joined the Mongolian Ambassador in a toast to his team and a successful completion of Group A in the All Asia Cup. 11:00pm Monkey Bar Monkey Bar for drinks and nightlife. 8:00pm Tenyuu Grand Dinner at Tenyuu Grand for Japanese food. Photo: The gaucho Santy Galland "en el aire"
8pm Chao Phraya river River Cruise with a buffet dinner on the Chao Phraya river. Players are advised to have breakfast at the hotel prior to van pickup at 9:00am. 9am Grand Palace Arrive at the Grand Palace and explore the palace grounds. 12pm Lunch Take a break for lunch, location to be confirmed. 10:00pm Kudeta Drinks and nightlife at Kudeta. This is the Horse Data Sheet prepared by Khun Tom to show the gauchos' specifications and classification of each horse for quick reference by team captains to use for allocation of horses to team players. Khun Top has confirmed on 10 Dec 2013 that the ALL ASIA CUP dates are confirmed 9-18 Jan 2014 -- no matter what government is in power in Thailand, the show will go on. The Total Cost of the All Asia Cup per team is US$12,000 per team. This covers all Horses, Umpires, Team Jerseys, Dinners and drinks. 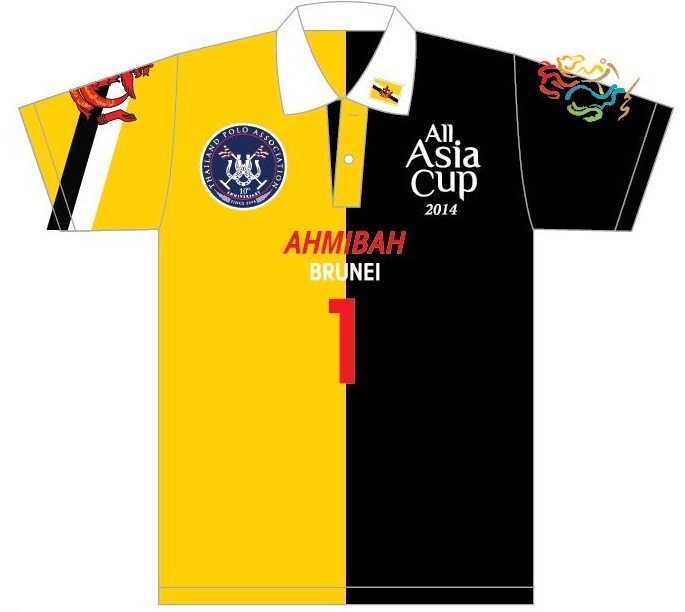 A deposit of us$4,000 is due on 15 October to confirm your team in the All Asia Cup 2014. BANK DETAILS for deposit to Thailand Polo Association. If you have any questions -- info@siampolonews.com -- Team deposits received from Korea, Mongolia, Indonesia, Korea, Brunei (10 Oct 13). If you would like to stay in the Pullman Hotel, the special room rate for polo players and team supporters is 3,600 Baht per night. The Team Van for each team will be 2,500 Baht per day (which includes driver all day). If you are interested in booking your hotel or team van, please Email TPA and tell them what date your team will arrive, so they can coordinate your pickup and hotel room. The Press Conference for the All Asia Cup will be held on 09 Jan 2014 at 1PM at King Power Headquarters on Soi Rangnam in Bangkok. Philippines exploded onto the Thai polo scene last year and have proved that they will be a sturdy contender in this year's All Asia Cup. 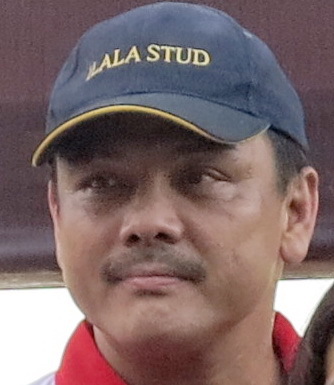 Mikee Romero is a sportsman-businessman from the Philippines. He is currently the Chairman of Philippine companies: Globalport 900, Zest Airways, Air Asia Philippines, Pacifica, Inc, Harbour Centre Port Terminal and Manila North Harbour Port. He is in the 2013 Forbes Magazine’s Philippines List of Richest Businessman, landing number 26th. In Philippine sports, He headed the Philippine Olympic team during the 2012 London Olympics. 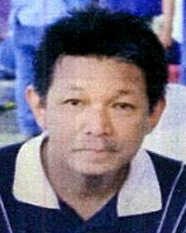 He used to head the National Olympic Sports Associations of Shooting, Cycling and Basketball in the Philippines. Mikee has been playing Polo since 2010 bringing the Globalport Polo Team all-over the world. He plays competitive polo in the Philippines, Thailand, China, USA and UK. 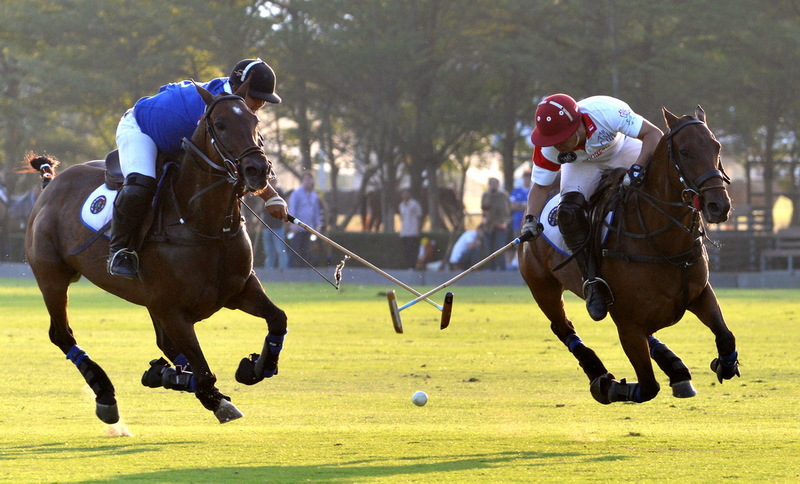 Antonio Veloso has played polo in the U.S.A, Australia, New Zealand and around Asia. 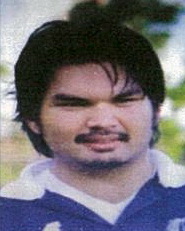 He was Captain of the Philippine team in the 2007 S.E.A. 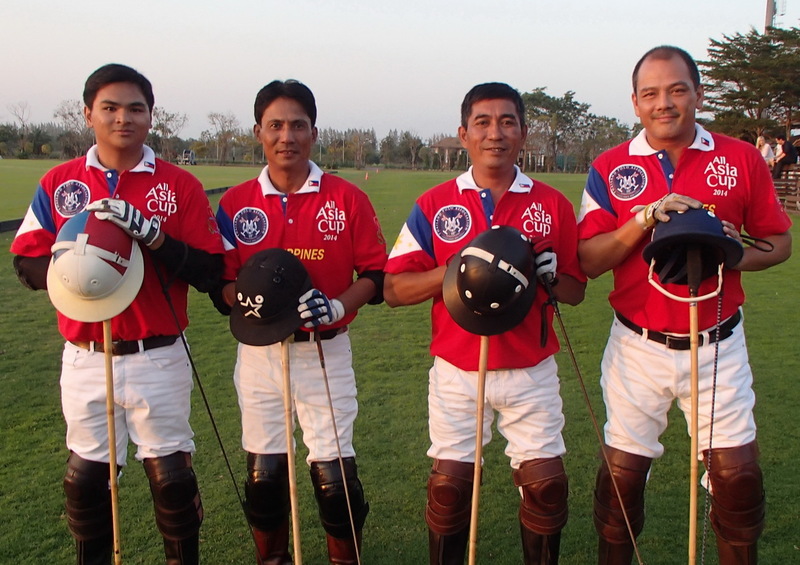 games in Thailand and is currently playing for the Global Port polo team. Alex Vicinal is a 1 goal player who comes from a family that has always been around training and conditioning of polo horses. Has worked and played in the Philippines, Australia, Korea and Thailand and is currently playing for the global port polo team. 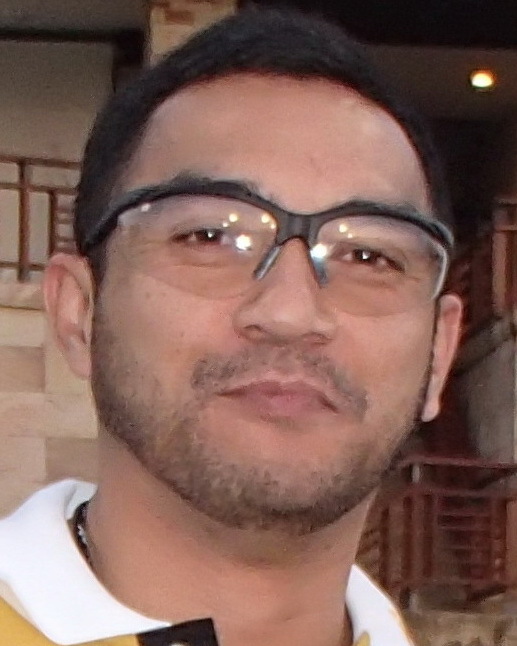 Gerry Asahan is the latest addition to the Philippines Team. He has been working with horses for many years, training and conditioning. 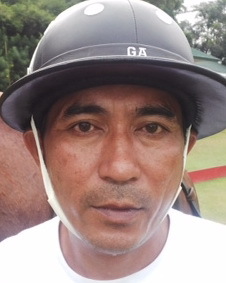 He has been playing a little polo in Philippines at 0 goal and currently works for polo patron Jun Juban. JB Lee has been working tirelessly to have his team ready for the All Asia Cup. They have been growing rapidly and have recently held the first All Family Cup in Asia showing that polo is a family sport in Korea and that they are determined to improve their play. Korea realizes that this will be a good learning experience for them and their first international competition as a National Team. J.B. Lee is the owner of Korea Polo Country club, the only polo club in Korea. He started polo in 2005 at Singapore Polo Club, then immediately bought a land in Korea to make the fisrt polo club. He is the Chairman of Korea Polo Association. He is 53 yrs old, the oldest and highest handicapped player in Korea as of 2013. 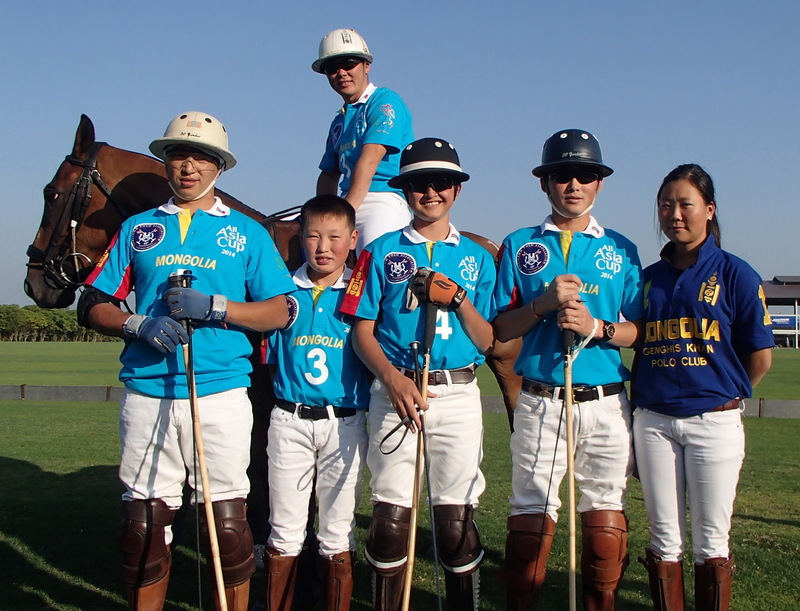 Rock Lee is the first son of J.B. Lee, studying in the states, and started polo in 2011. He has played many tournaments in Korea, including the 8 goal Royal Salute Cup, 6 Goal Governor's Cup, and has won most of his matches. 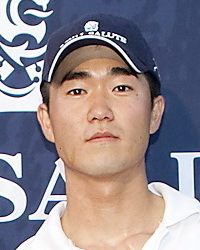 Rocky Lee is the second son of J.B.Lee, also studying in the states, and started polo in 2010. At the beginning of Korea Polo Club, he stayed in the club for 6 months and helped his father to play with many visiting clubs like SPC, Nine Dragons Hill. James Lee is a 25 years friend of J.B.Lee, started polo in 2006 at Singapore polo club, but he had about 4 years blank term and started again in Korea Polo Club. He also played all the important polo matches in Korea, and has played in Thailand and Indonesia. He is working as a President of the petrochemical trading company Tychem, and now his son and daughter (both studying in the states) started horse riding to enter into the polo world. 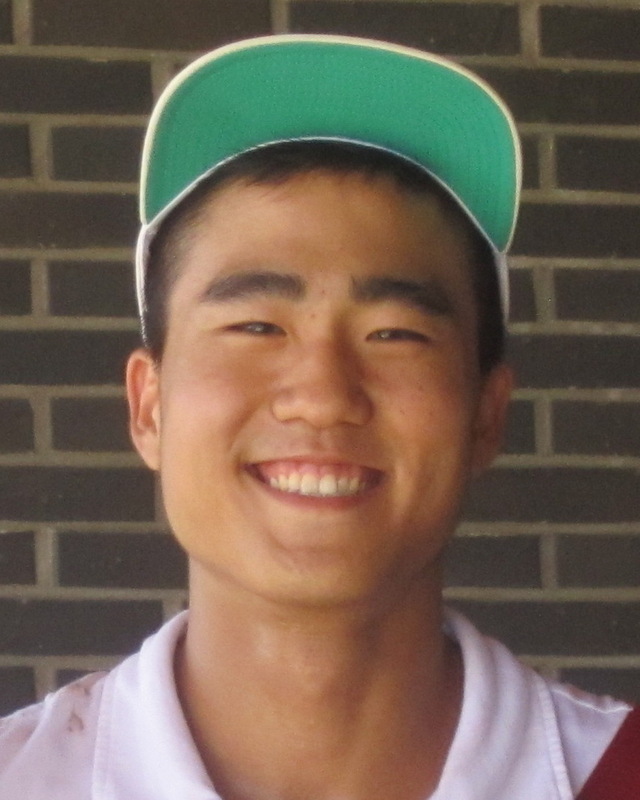 David Ko is the first local Korean who learned polo at the Korea Polo Club. 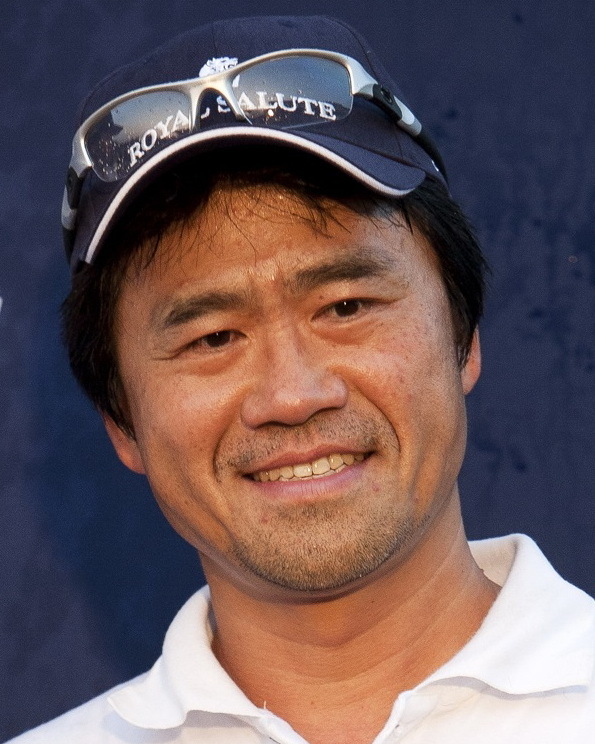 Together with his good rival, Jerry Kwak, he is leading the next generation of Korean polo. 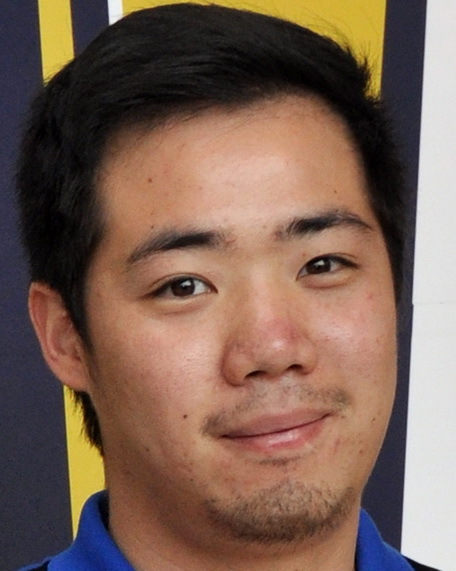 David works for Skylake Incuvest & Co., as Director, and he has played in Argentina and Thailand. 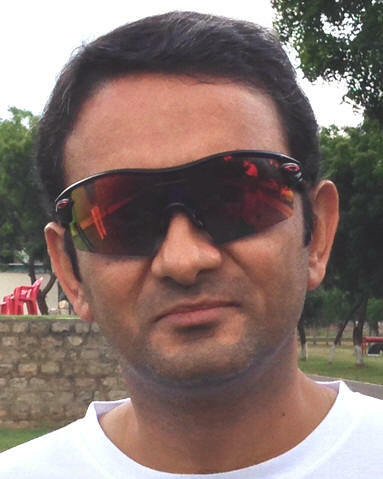 Shyam Mehta will return with his Indian team who have proved time and again that polo is a gentleman's sport. We are honored to have them back on the field. 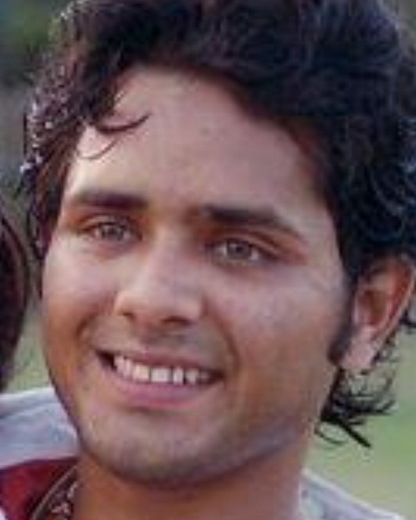 Shyam Mehta is regular player in Thailand. A lawyer by profession, he has been playing for over 20 years in India, France, Singapore, England and Thailand. He was part of the Indian team that played in the Heritage Cup in England in August 2011 and placed 3rd. Shyam was the powerhouse behind organizing the Indian Polo Team to join the All Asia Cup 2012 where they received a Bronze Medal. Pratap Singh and Om Singh are two brothers from Rajistan who play off -2 and 0 goals. They attended the prestigious Mayo College in India, and this is their first time playing in Thailand. Pratap is known as the "Hari Potter" of India and are the up and rising stars to watch. 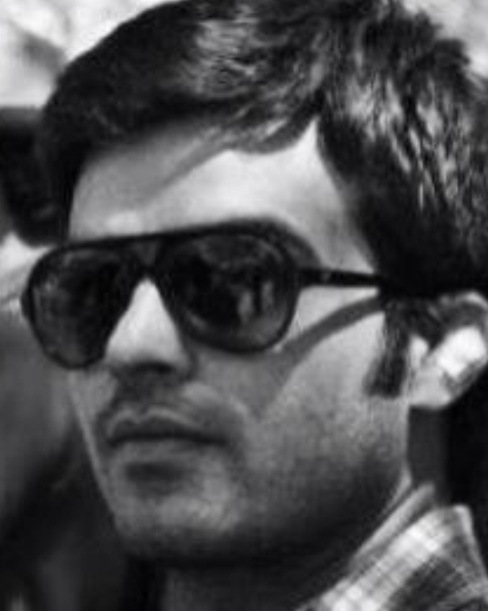 Abhimanyu Pathak at 4 goals is 30 years old and has been playing polo for almost a decade. A mercurial forward who can turn a match around single handed, he has represented the India in many international events and has driven them to many glorious victories. He went with the Indian Polo Team to Zambia to take part in the 14 goal polo tournament in July 2013. 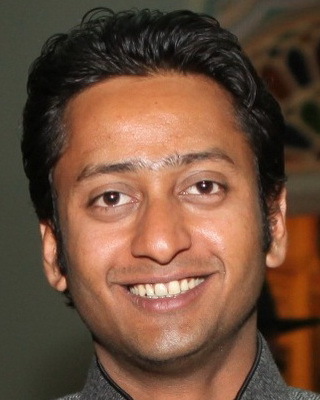 Om Singh is 30 years old and at 0 goal has 23 years of riding experience. Starting playing polo in school, Om has played in many countries like South Africa, England, New Zealand, Pakistan, Jamaica and Malaysia. He is a phenomenal rider and boasts a good seat. The Mongolian Charge is set to return. Chris Giercke has just returned from the Mongolian Steppe to Kathmandu and has confirmed that his team will be ready. This time, the Mongolian team spent 4 months training with professionals in New Zealand, so we may have quite a surprise in store for us. The Mongolian Team will comprise of 6 players from -2 to 0 goals and they will interchange to gain international competition experience in the spirit of the All Asia Cup. 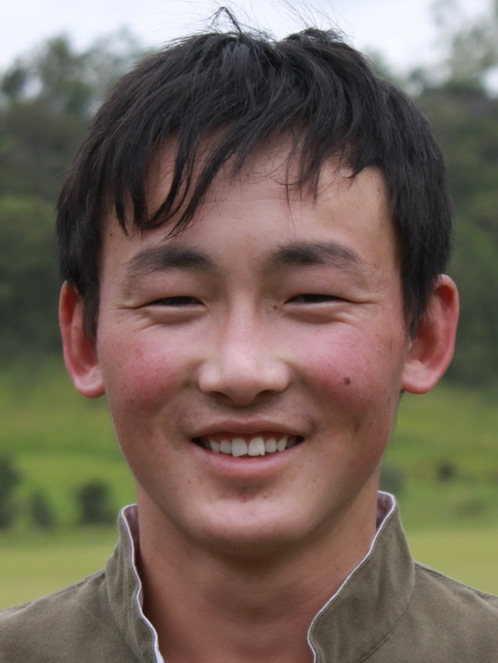 D'Artagnan is 16 years old and has played and trained at the Genghis Khan Polo Club in Mongolia, He has international polo experience playing in India, New Zealand, France and England. D'Artagnan is presently a student at Harrow School in England, and is part of the Harrow School Polo Team. 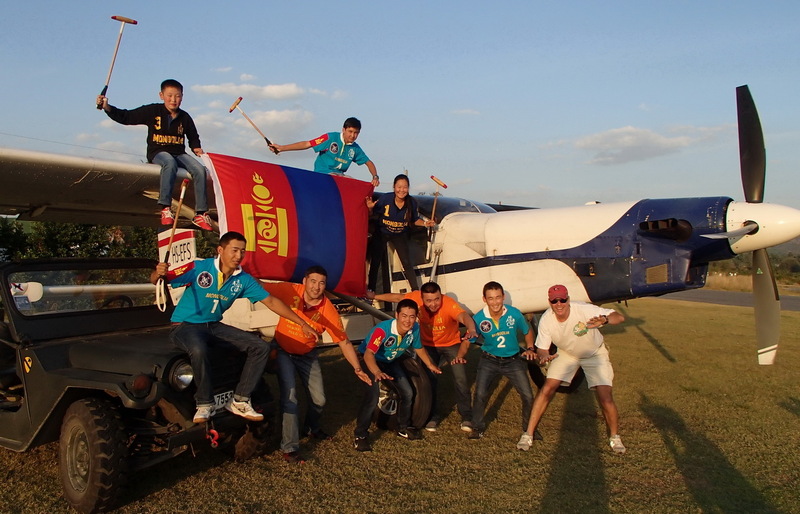 The Harrow Polo Team visited Mongolia in the summer of 2012. 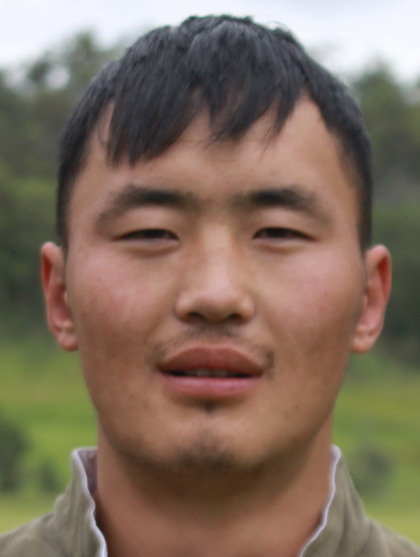 Bilguun Buyanjargal (Uune) is 21 years and has also been training and playing for the last 10 years at the Genghis Khan Polo Club in Mongolia. He grew up in the countryside riding a horse everyday herding for his family. 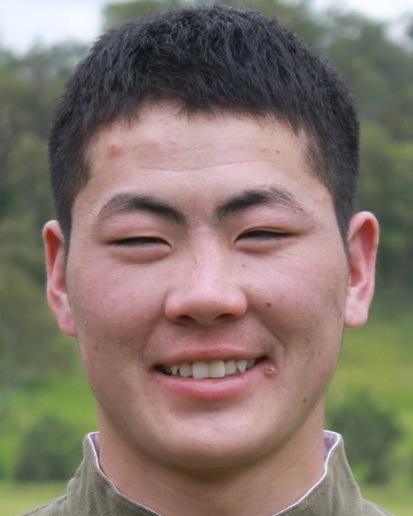 He is currently a student in Ulaanbataar, the capital of Mongolia, and has recently returned from New Zealand where he was receiving polo training and this winter, he will be receive more training at the Opianga Polo Club in affiliation with the Wanstead Polo Club in the North Island. 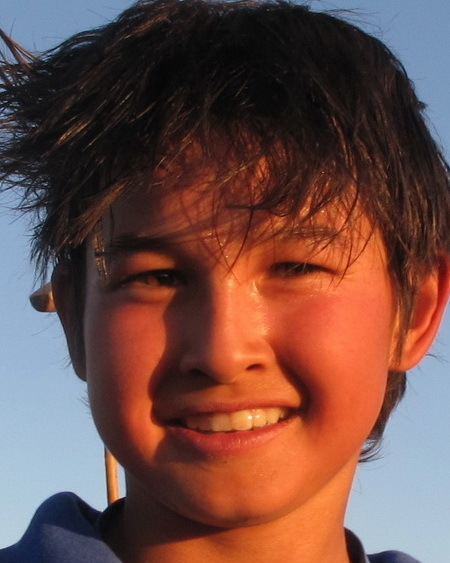 Rentsensharav Oldokh (Rentsen) is 13 years old and is the youngest polo player on the Mongolian team. For several years, he has been one of D'Artagnan's most loyal polo players and together the two young players have confronted many foreign visiting teams -- including a team from Harvard University in the summer of 2013 and a team from New Zealand. 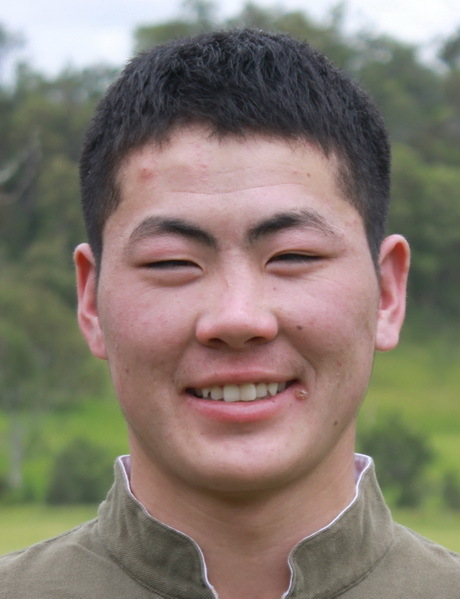 Rinchen is presently part of the Mongol team training in New Zealand, during the winter months, when polo is not being played in Mongolia. The All Asia Cup will be Rinchen's first visit to a country outside of Mongolia. 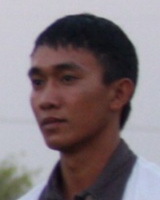 Myagmarjav Adiya (Mamuna) was on the 2012 Mongolian polo team which finished with a Bronze Medal. 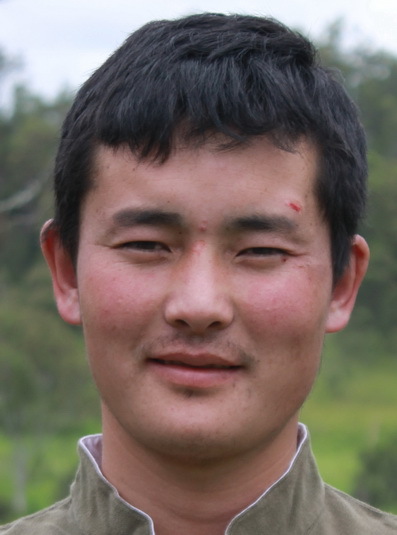 He is a very experienced rider from the Mongolian Steppe who is thrilled to be representing Mongolia again. Dolgorsuren Bat-Oyun (Doda) is 14 years old. She is the daughter of a herding family living close to the Genghis Khan Polo Club in Mongolia. From age 6 to 12 years, she excelled in the Mongolian summer Nadaam competitions. She often defeated heavy competiton of older and much stronger boys. Two years ago, she got the attention of Harpreet and Satinder Garcha who adopted her into their polo family, and she was able to train and play in Singapore, India and Argentina. Last winter she was trained for three months in South Island, New Zealand with the familyof Garth Mackenzie. This special hosting by two prominent polo families has enabled Poda to excel, and she is expected to climb the handicap ladder rapidly when she continues her training this winter in New Zealand. Altangadas Tserendorj (Gadsaa) is 28 years old. He is the most senior player in the present Mongolian team. 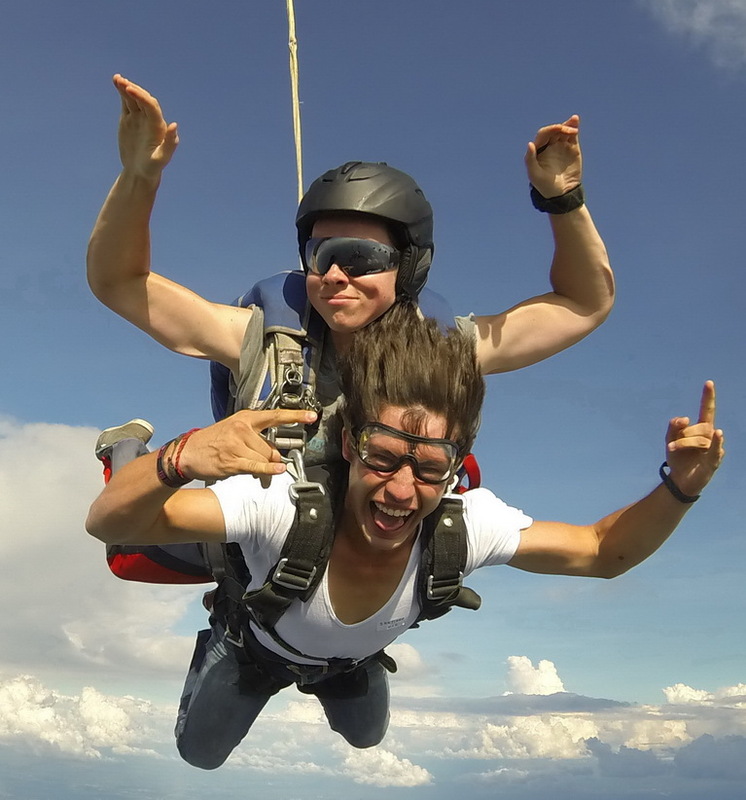 Originally, he specialized in training race horses and also stunt riding. 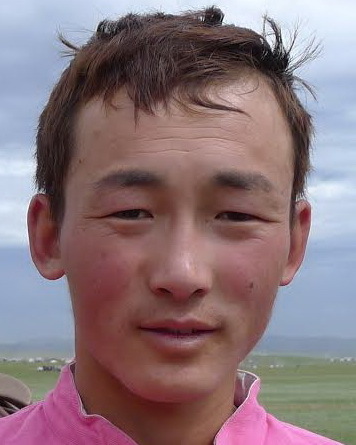 He has been playing and training with the Genghis Khan Polo Club for the last 5 years. The China team hails from Tang Polo Club in Biejing. 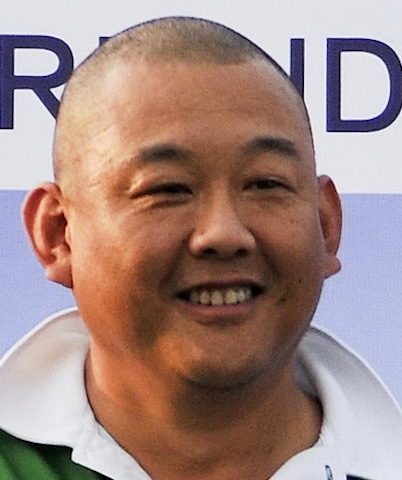 Liu ShiLai is the founder of the Tang Polo Club. He started playing polo in 2005, and progressed rapidly from a -2 to a 1 goal. 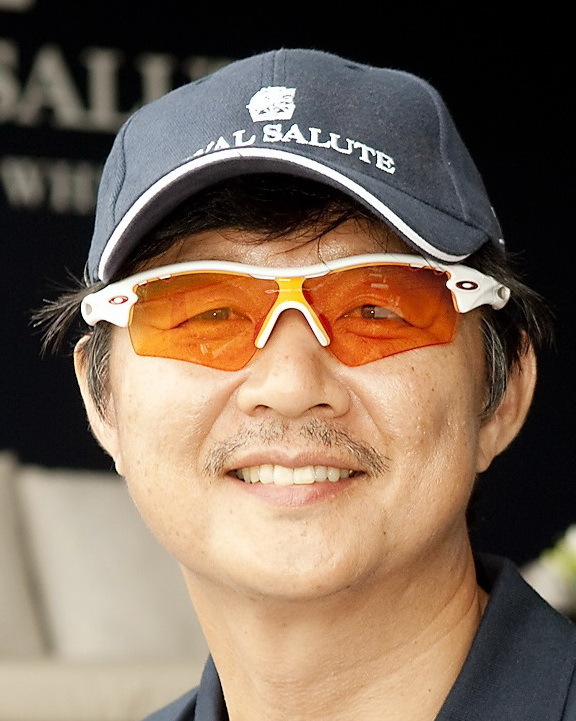 Mr. Liu is known as China's first registered member within the international polo association and is regarded as China's best player. 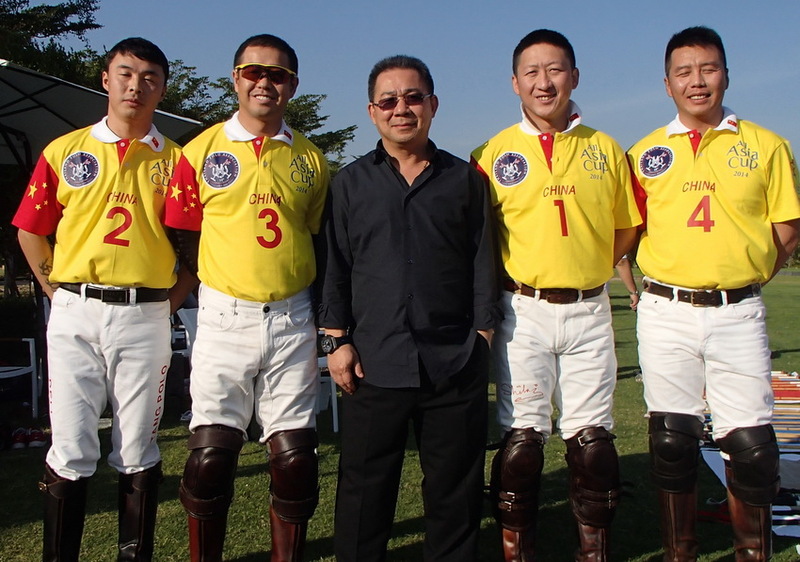 Liu Nan is a very prominent figure around the Tang Polo Club, always seen training and playing chukkas. 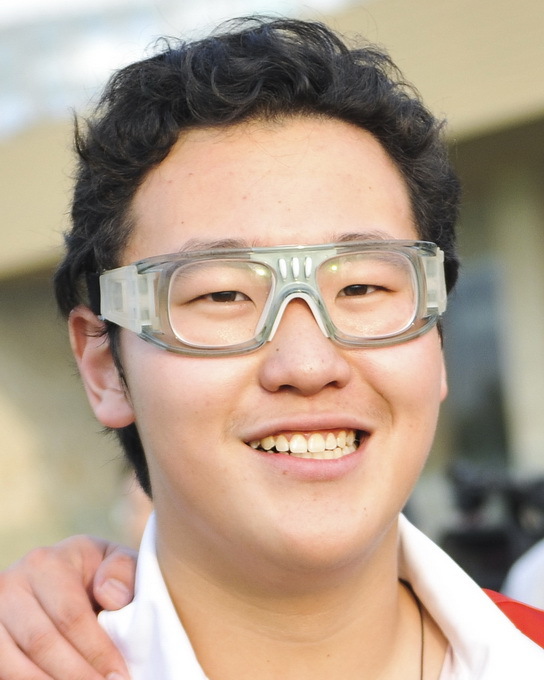 He has also played for over 5 years and holds one of the highest handicaps in China, playing off of 0 goals. He enjoys the sport of polo as it allows him to travel to many countries and experience new cultures. 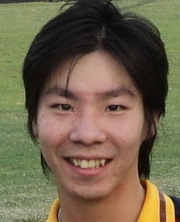 Norman Peng is Tang Polo Club's youngest player. He began to learn under the influence of his father who is also a prominent player at the club. 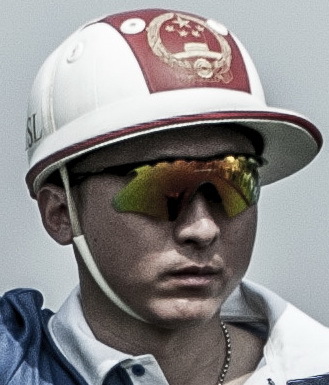 He is known as China's firsh youth player and holds high hopes for the growing polo industry in China. Huo Gang, also known as "Mustang" is China's horse whisperer. He is also one of China's most experienced players, with his own 50 horse polo ranch in the beautiful mountains of Beijing. 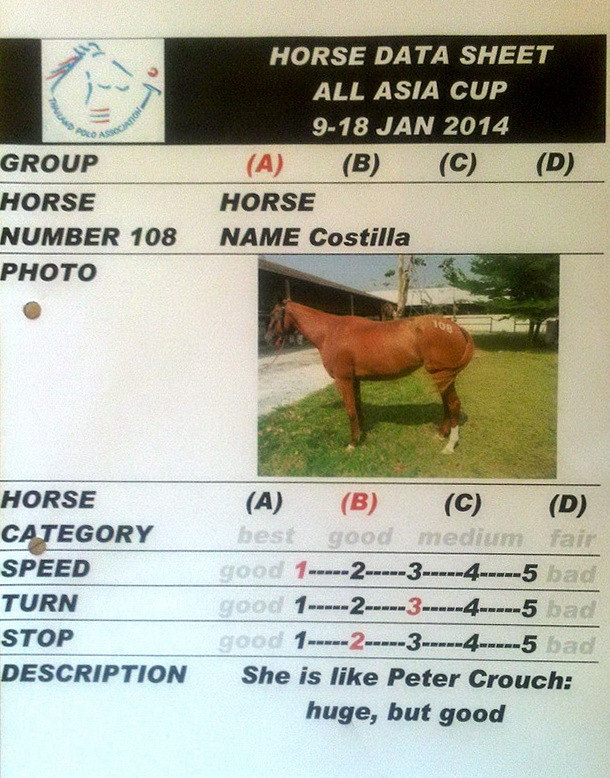 Mustang plays off a 0 handicap and is definitely one to watch in the All Asia Cup. The Thai National Team is back on form. 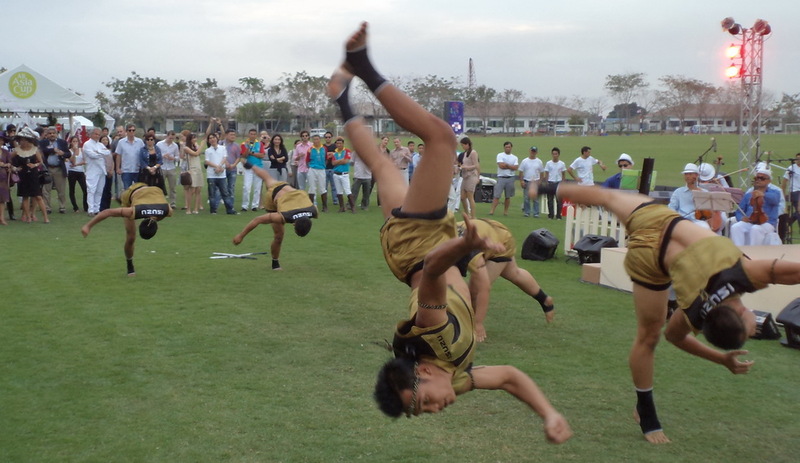 They have been practicing this summer in England and even had a foray on the backs of elephants during the King's Cup. 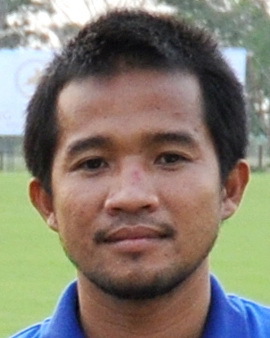 Aiyawatt Srivaddhanaprabha (Top) has represented Thailand and is a very talented player. He was on the Thailand International team for the 2007 SEA Games. He has also played with Prince Chales and Prince William in England. 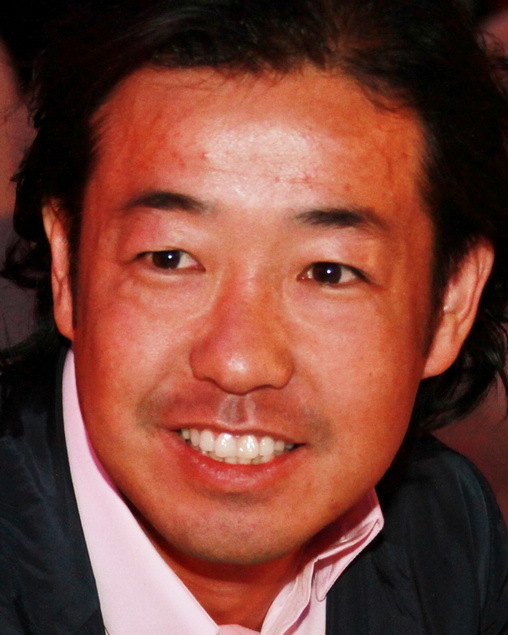 Top has played in Argentina, UK, Dubai and in many international tournaments. Apichet Srivaddhanaprabha (Tal) is an extremely keen polo player and has competed alongside his brother in many international tournaments including the UK, Argentina, Dubai and Philippines. Tal represented Thailand at the 2007 SEA Games when Thailand won the Bronze medal. 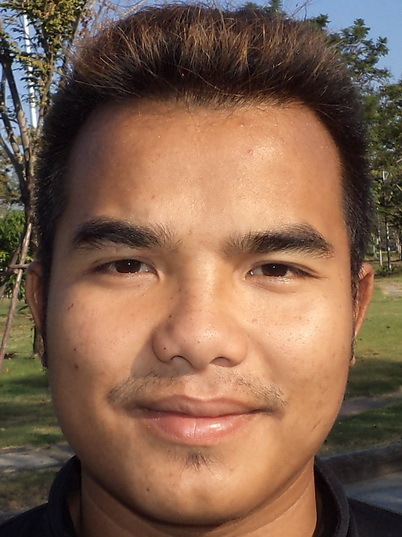 Natthapong Pratumlee (Nat) is Thailand's highest handicapped player. He has played in UK, Argentina and USA. Where he studied under Reggie Ludwing for two years and is a player on the Thai Nation team. Thanasin Chuawangkham (Tsu) is from Mukdahan and has played for Thailand in the SEA games and in several international tournaments. During the summer, the Thai team travels to England to practice at the King Power polo club near Ascot. 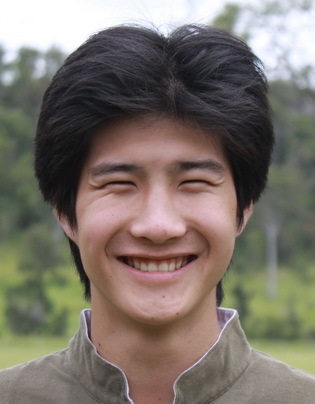 Satid Wongkraso (Boon) is an up and coming player. Satid was on the winning team at The Ambassadors Cup 2013. Probowo Subianto has directed the Indonesian National Team to prepare for the All Asia Cup. This team has been practicing hard and practicing in different clubs to be ready for this event. Novel Momongan is 29 years old. He was born in Mando, North Sulawesi. He has been playing polo for 7 years. He was on the first Indonesian team to compete internationaly at the 2007 SEA Games and he is Indonesia's highest handicapped player. He has competed an impressive number of international tournaments including the 200th Argentine Independence Cup at Nusantara in 2010, The 150 year Anniversary tournament in Kolkata, India, the 2013 Pocari Cup in Korea, and the BP Malaysia Cup in 2013. 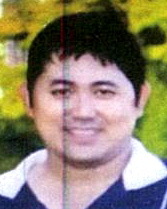 Acep Krisnandar is 34 years old and comes from Bandung in West Java, Indonesia. He has been playing polo for 7 years and was a member of the first International Indonesian team which competed in the 2007 SEA Games in Thailand. He has joined his team on tour to India, Korea and Malaysia, and he is looking forward to joining the All Asia Cup in Thailand. 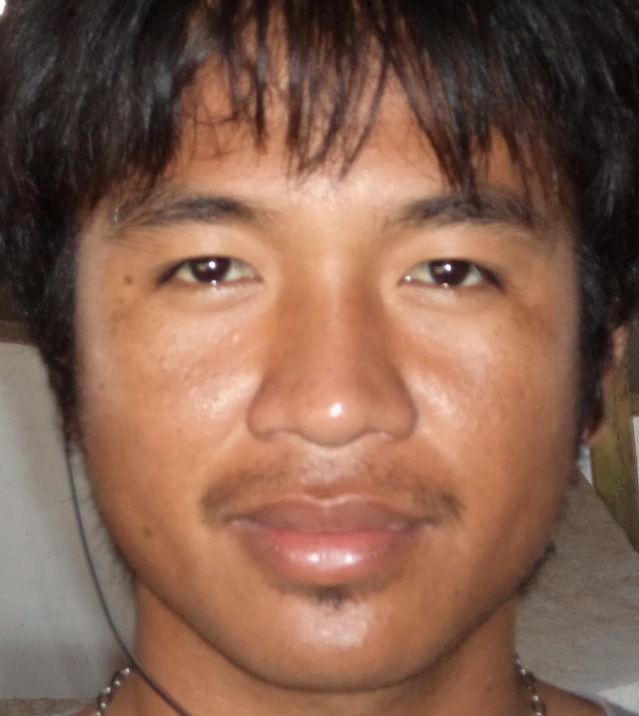 Billy Lumintang is 29 years old and hails from Mando in North Sulawesi, Indonesia. 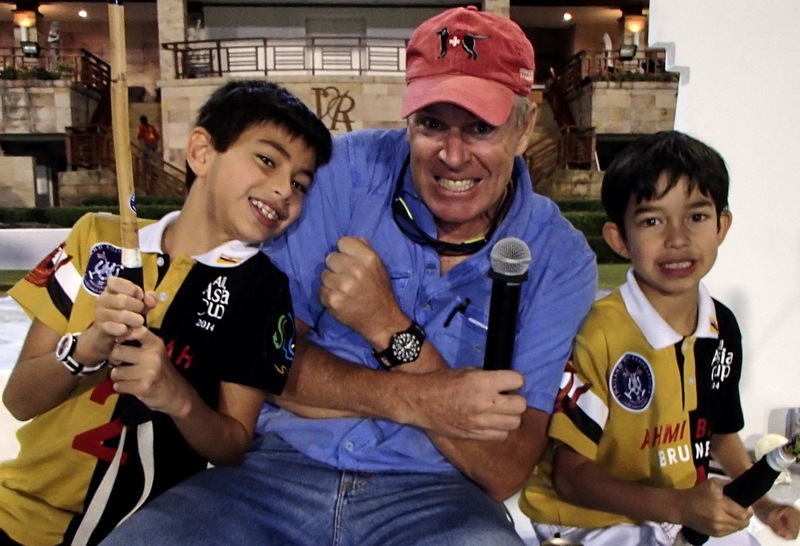 He has been playing polo for 7 years, and has competed in Thailand for the 2007 SEA Games, two consecutive Argentina Ambassador's Cups in Indonesia, and in Korea, India, and Malaysia. 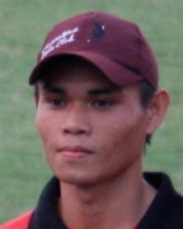 Glendy Bujung is 25 years old and has been playing polo for 5 years. He has been a fast improving member of the Indonesia National Team accompanying his teammates to India, Korea, Malaysia and this will be his first competition in Thailand. HRH Prince Jefri's AHMIBAH Polo Team was one of the first to confirm in this years All Asia Cup and we are looking forward to see them. 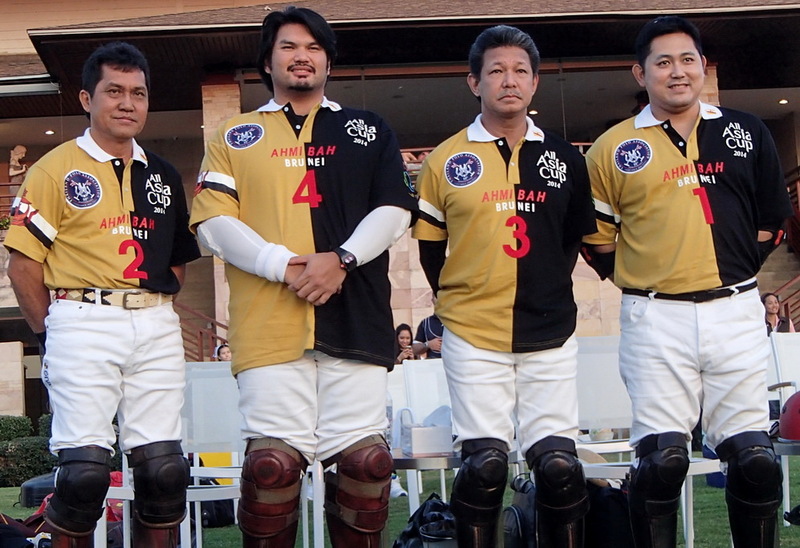 DYTM Paduka Seri Pengiran DiGadong Sahibul-Mal Pengiran Muda Haji Jefri Bolkiah Ibni Al-Marhum Stultan Haji Omar Ali Saifuddien Sa'ad ul Khairi Waddien (HRH Prince Jefri Bolkiah) plays at the Royal Brunei Polo Club. He is from the first generation of polo players in Brunei and the All Asia Cup is Prince Jefri's first polo tournament in Thailand. He is 59 years old and started playing in 1976. He will be playing #3 on his team. YAM Pengiran Muda Abdul Qawi Ibni DYTM Paduka Seri Pengiran Perdana Wazir Sahibul Himmah Wal-Waqar Pengiran Muda Haji Mohamed Bolkiah (Prince Qawi) is the 39 year old first son of HRH Prince Mohamed Bolkiah and stared playing polo in 1996. He took a break to work overseas, but then resumed playing actively in 2011 in Brunei and Malaysia. 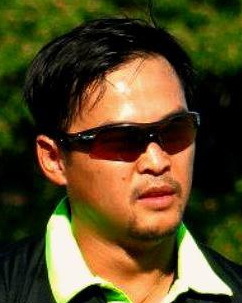 He is a member of the Royal Brunei Polo Club and the All Asia Cup will be his first tournament in Thailand. YAM Pengiran Muda Bahar Ibni DYTM Paduka Seri Pengiran DiGadong Sahibul-Mal Pengiran Muda Haji Jefri Bolkiah (Prince Bahar) is 32 years old and the second son of HRH Prince Jefri. He is a member of the Royal Brunei Polo Club and has participated in numerous international polo tournaments, including at Sotogrande in Spain and in the Gold Cup and Queen's Cup in UK. He plays off 1 goal and the All Asia Cup will be his first polo tournament in Thailand. YAM Pengiran Anak Haji Abdul Ali Yil-Kabir Bin PLCSN Pengiran Anak Haji Abdul Aziz (Pengiran Ali) is 37 years old and one of the up and coming polo players in Brunei. 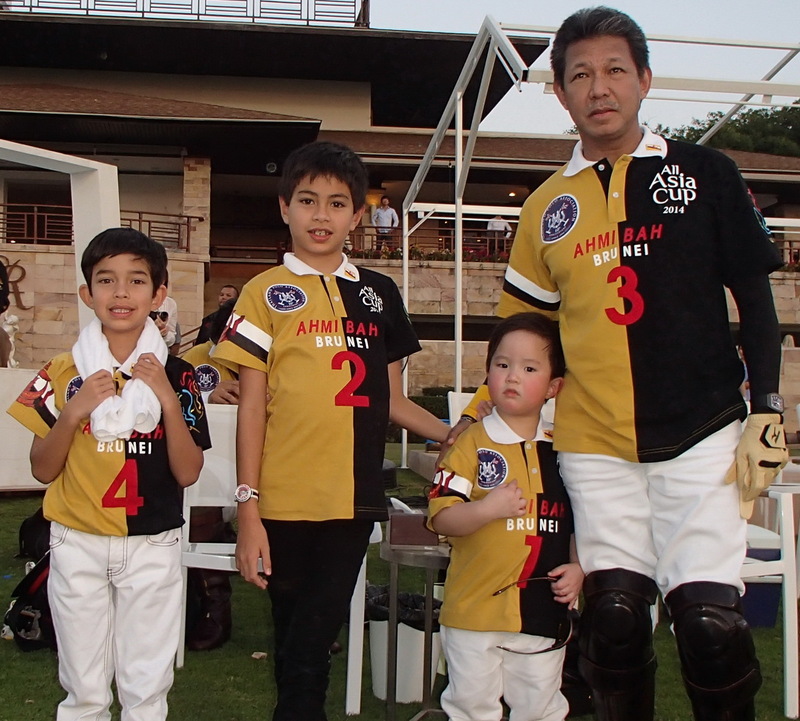 He is HRH Prince Jefri's son-in-law and started playing polo at the Royal Brunei Polo Club in 2000. The Two top teams in each of the Groups will meet in the Subsidiary Final and the Final on the VRSC field. The two top teams will be decided on points gained during the three days of play in their group. Each team will play three times. A win is 3 points. A tie is 1 point, and in case of a tie, then goal difference and total goals scored will be applied. 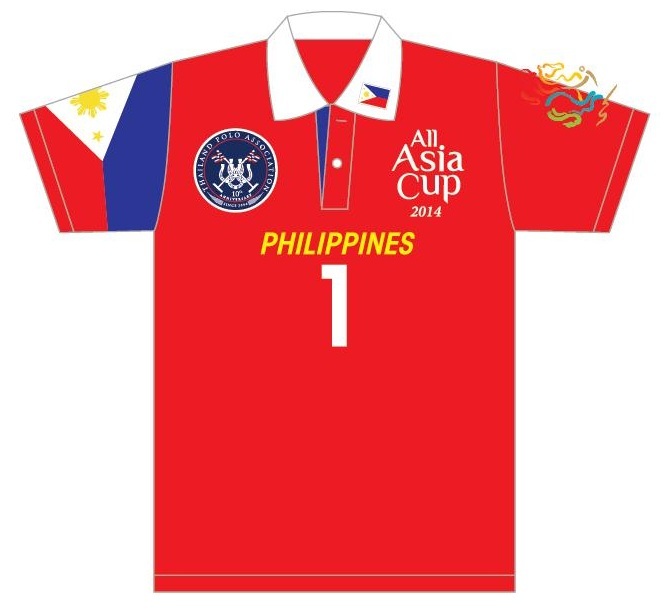 SEE YOU AT THE ALL ASIA CUP -- Everyone Welcome. Admission Free. 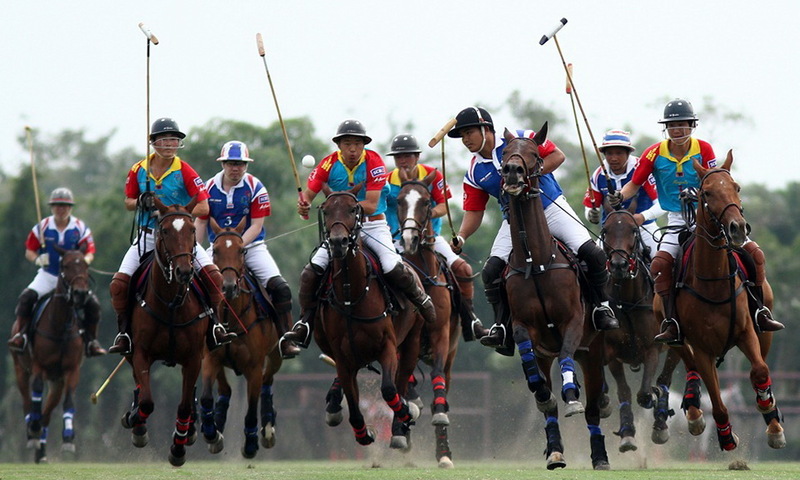 In 2007, the SEA Games played in Thailand included horse polo. 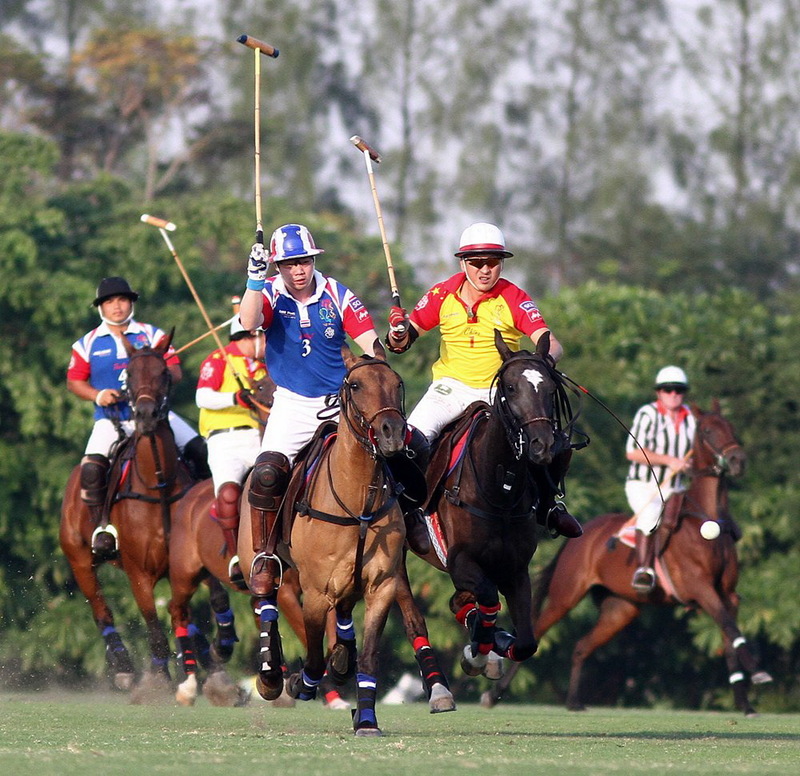 This was the first time that we saw polo included in an official Inter-Asian sporting event. It was a great success with Philippines, Malaysia, Thailand, Indonesia, and Singapore attending. 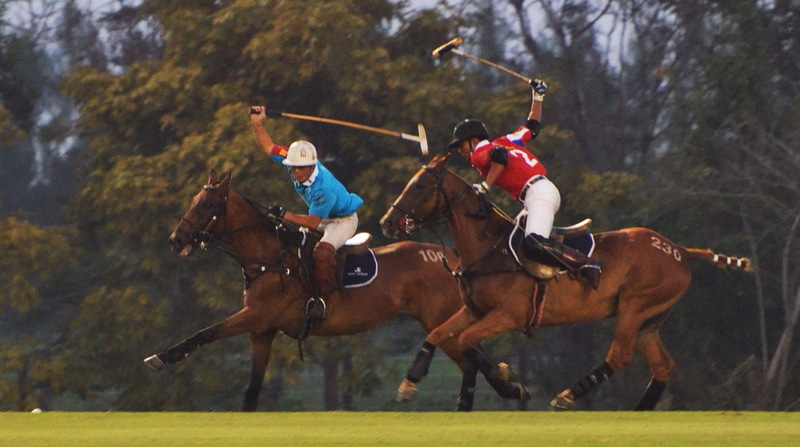 Polo has been played for over a hundred years in Malaysia and Singapore, however, the sport has only recently developed in China, Korea, Mongolia, and Indonesia. This past SEA Games held in Indonesia in December 2011 was unfortunately not able to include polo in the official venue. This is because, as the sport is still growing in Asia, there are not a sufficient quantity of trained horses in some countries. 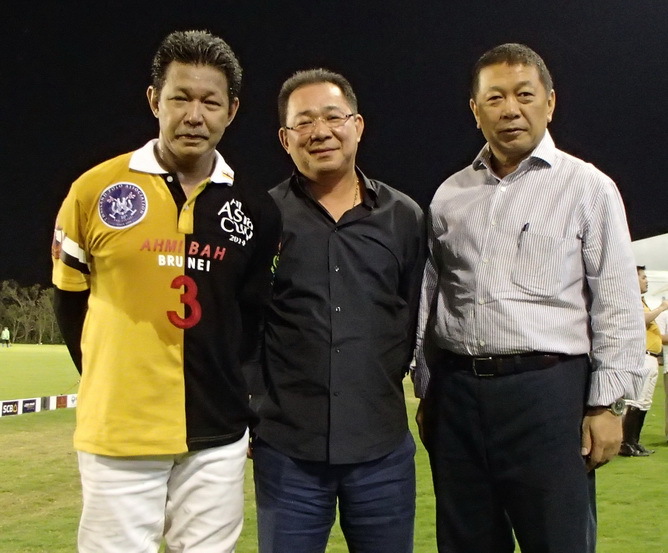 Khun Vichai Raksriaksorn, the President of the Thailand Polo Association, who was the impetus behind polo's inclusion in the SEA games in 2007 has shown his commitment to the development of polo in Asia by inviting countries in Asia to take part in the 2012 ALL ASIA GAMES. The importance of this tournament is that it is being held at the 2-4 goal level. This allows the opportunity for the countries that are new to polo to participate with their national players who have not yet achieved high handicap ratings. We have been watching with great interest the rapid growth of polo in China. They have gone from only one polo club with a handful of horses to now having over 5 polo clubs holding different levels of international tournaments. It is an honor for us to have China sending their first national team to compete in the ALL ASIA CUP. 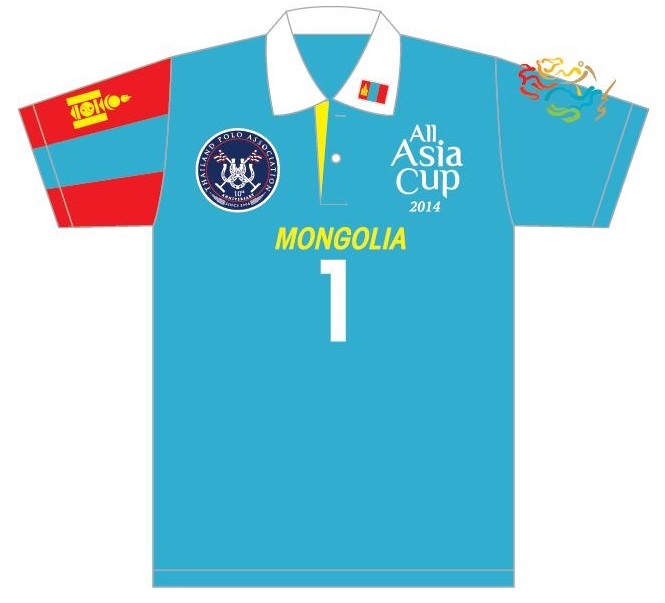 We are also honored to have the first Mongolian National Polo team joining our tournament. These young players are very skilled horsemen, but they do not yet have an international handicap. The Mongolian players will be handicapped by the TPA during the ALL ASIA CUP, and they will leave Thailand with their first international handicap. The Mongolian team has been training very hard in India and in Australia with our polo friends there, so that their comprehension of the rules will be up to the level required for tournament play. The oldest polo club in the world still in existence is in Calcutta, India. This is the country where the sport was refined from its Asiatic roots by British Calvary Officers who saw the tremendous value of polo in the development of horsemanship, leadership and teamwork for the training of young officers. It was this evolution of the sport of polo that then was taken back to England and across the world. As Sir Winston Churchill once said, "there is no greater passport than a polo handicap." We consider it a great privilege to be able to play with a team from India in the ALL ASIA CUP. The following countries in Asia now are developing polo in their countries: Mongolia, China, Korea, Thailand, Philippines, Malaysia, Singapore, Indonesia, Brunei, India, Pakistan, UAE. We are also very excited to hear that the first two polo players from Japan are starting to play in Korea with more soon to follow. 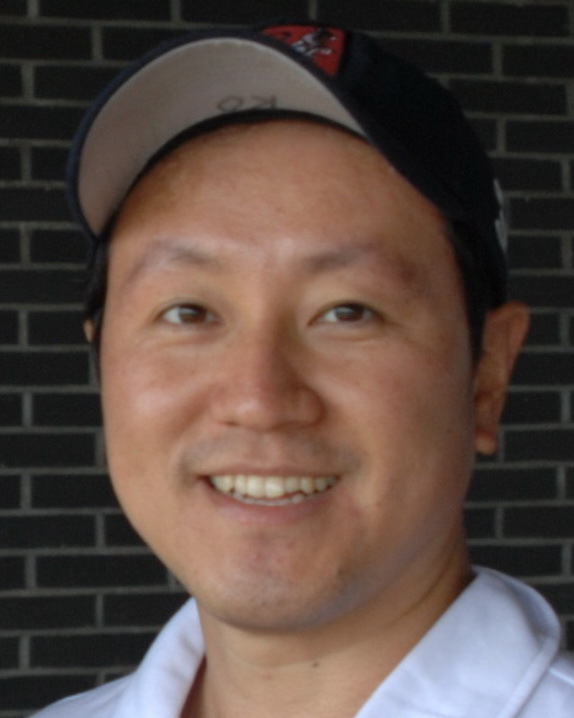 We can all be better umpires, and so Khun Soul from the ever-active TPA has announced that TPA is sponsoring a free TIM KEYTE UMPIRE CLINIC at SPP during the ALL ASIA CUP. All players and friends of SPP are welcome to come for free to attend the TIM KEYTE umpire clinic and to ask questions and learn from this very experienced HPA umpire who will dazzle us with his officiating during the All Asia Cup. Tim will also be the Horse Master during this tournament ensuring that all horses are fairly managed and equal for all the teams playing in this tournament. The Umpire clinic was an amazing success (with very few mosquitos). All teams sat at full concentration as they watched Tim show the new 2011 HPA dvd on rules of polo. Even the gauchos were silent and attentive, as they realized that some of them have been fouling regularly. Inke was translating for the Mongolian team and Shilai Liu, China's top polo player, was sitting in the front row seat with his teammate Nan. There was a lot of excitement today. The China vs Mongolia match turned into a very colorful exhibition match as we watched these two teams find their feet. China was communicating and positioning themselves very well and showed a great appreciation of Egyptology. The Mongolians were doing very well on their first day of action. They substituted in some of their spare players and were learning about the importance of communication and swinging slowly. The hot match was on field two with Thailand and India going full force. Top hadn't been on a horse for 3 months, and he didn't play a single horse that he normally plays, but the team was hot with very nice picardias between Nat and Top. Tal and Tsu playing very well. Abby on the Indian team was a solid force at back Shyam was a blinding force up at #1 receiving a lot of passes. Mitesh and Sujay playing at full speed. Thailand won by 1.5 or 2.5 goals, and if these two teams meet again in the final, it could go either way. Very excitin g match under the lights. The Mongols received a lesson in polo from the Indian team. A very classic game of polo played by the Indians leaving the Mongolians a bit bewildered. Shyam was a lethal weapon at number one, stalking Ich Tenger on the hit-ins. The Mongolians did, however, make life very difficult for Abby at back, shutting down many of his classic long hits. The Mongols then received a lesson with "foot mallets" on the advantages of using "el transito" tactics, and also how to position onself on the right side of the field, so as to be on the opponents off-side after a hit. Thailand vs China was a great game to watch with China employing full use of their colonies in Egypt and USA with Ali and Dino on the field. Great game of passing and long hits by Nat and Shilai. Shilai and the China team playing a clean game and having several penalty shot attempts on goal. Nan played beautifully and really backed up his team. The evening retired into the able hands of Khun Ploy who escorted all teams to Bed supper club. Eric was already there. Three Mongols and the Mongolian coach Inke were there. The full China team was there, and all of India was there. At 4am, the expeditionary members were still going strong. Everyone was wondering how much the Mongols had bribed Khun Ploy to keep Shilai and the Chinese team out so late. It was a lovely day for polo. The Mongol coach chose youth before beauty, and put her youngest 4 players on the field. The China team had Shilai at number 3 and Nan at 2, with Dino on attack and Deligen at back. The Mongols executed their new train procedure on the hit-in with absolute precision. They could bring the ball in off the back line, then solid long passes gave them the first goal. Mongolia continued to score. Coach Ali on the China team, was telling his team to communicate and to take a man and to hit backhand, but the China team was having trouble coordinating all these moves. Shilai hit a tremendous penalty in the third chukka, and brought China within 2 goals, but then Mongolia pulled out all the stops and galloped to a 4 goal victory. The China team were all looking at Ploy with suspicion, as they realized that the previous evening's expedition had taken its toll. The Great Wall had cracked. However, the China team gathered themselves up and realized that there was a lot to learn from this experience, and the real battle would be on Saturday, where they will most likely be meeting their old friends the Mongols again. If they can rattle their cage in the first chukka, they could certainly turn the tide and ride to victory. Saturday will be an incredible game! Don't miss this. 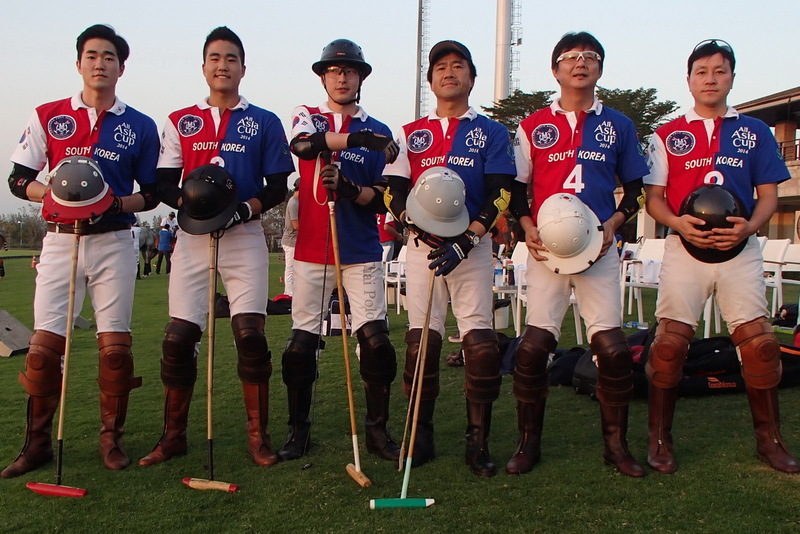 Today the Mongolians learned more about polo as they took on the Thailand team. Mongolia playing with great flair and beautiful shots were falling victim to Thailand's control of the ball and strong positioning on defense. It was most interesting to watch the Mongolians use their newly learned tactics of bringing the ball in from the back line, as they would then fire a neck shot far down field. Great game, and the team is improving rapidly. 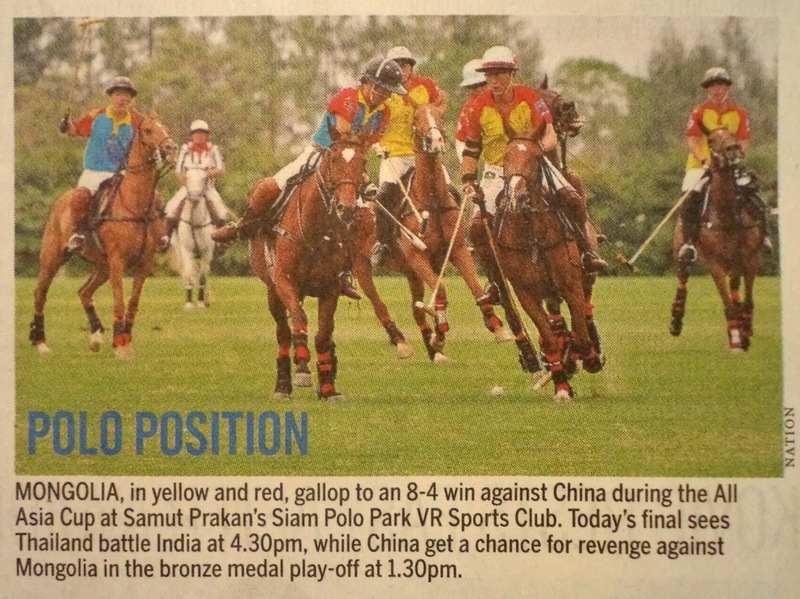 India stumbled in the first chukka against China, and the Chinese team took the lead. Very confident and strong play from all the Chinese players. This was a dynamic match with the Great Pyramid of Giza and the Great wall up against the Taj Mahal. Shilai injuring all parts of his body was not to be deterred in this match. Shyam played brilliantly and all the Indians were passing and moving the ball well. China left the field very proud of their performance and feeling extremely confident about tomorrows rematch against the Mongolians. Two very exciting matches on Saturday! It is expected that close to 50,000 people will be following this match on Channel 3. This one was real. A fantastic day of polo, and a very fitting conclusion to one of the most historic polo tournaments we have seen in Thailand. There is a proverb, "nothing is so sad in this world, as to see a soldier who has been honored before he has been humbled." The Chinese team had been previously humbled by the young Mongolian team. They took this defeat to change their strategy and rethink their tactics. Better communication, more aggressive play by their #1, and a new "Great Wall defense" by their number 3. Their tactics worked. China surged to an early lead, and they held it for the whole game. The young Mongols played with heart and their very successful Siberian Railroad tactics, and in the final seconds of the final chukka, they were able to equalize and tie China. Both teams learned a lot in this tournament. It was a very fitting subsidiary final. Everyone then moved to Field #1 under the lights for a final under the lights. India and Thailand played a beautiful and honorable match. We were honored by the presence of the Indian Ambassador, the Argentinean Ambassador, and advisor to the President of Mongolia. The spirit of the entire tournament was summed up by the #3 player on the Indian team, Khun Abby, when Khunt Top dropped his stick in the heat of battle, play continued, but the Indian player stopped and picked up Top's stick and handed it back to Top. Both teams battled on with tremendous long passes and amazing shots on goal. The Indians launched a final assault on goal with seconds remaining and at the final bell, Thailand had won the First All Asia Cup by 1/2 goal -- 6.5-6. A tremendous tournament which was summed up by a distinguished member of the polo community in Asia who said: "Well done to you for a successful tournament! You have definitely started a cup to be played for regularly with the key attributes: fairness, transparency, and when in doubt, for the good of polo." The All Asia Cup was presented to the Thai Team by His Excellency The Indian Ambassador to Thailand. Please check daily for revisions and updates! Points allocation: Win:3 // Tie: 1 // Lose: 0. Thank you for coming -- See you again for All Asia Cup 2014. Ghengis Khan commanded the largest empire this world have ever seen. Spanning continents, the secret of his success was the use of the horse in warfare. Today, Mongolia has about 3 million people, but over 5 million horses. The Mongolian horse is about 12" shorter, that an Argentine polo horse, so our Mongolian team has been learning with Col Raj Kalaan in India, and on China polo pioneer Steve Wyatt's farm in Thailand. Chris Giercke is the owner and founder of the Ghengis Khan polo club in Karrokorum, and he has been overseeing the splendid development of polo in Mongolia. He has two polo playing sons who are currently playing at Harrow School in England. Mongolia is one of the new members in the Asian polo playing family entering the world polo stage. In 2002 Mongolia joined FIP and started to learn to play abroad. Many polo friends from all over the world have come to Mongolia during the summer (July and August) and helped to train the Mongols - friends from France, England, Argentina, America, India, Singapore & Australia have made a great contribution. In the last years, the Mongolian Polo Federation (MPF), with the help of the Genghis Khan Polo & Riding Club (GKPC), has decided to train a new young generation of Mongolian polo players. Most of them are under 20 years of age, with a view to making Mongolia more competitive in international competitions. The team playing the All Asia Cup in Thailand has recently come from intensive training in Australia. 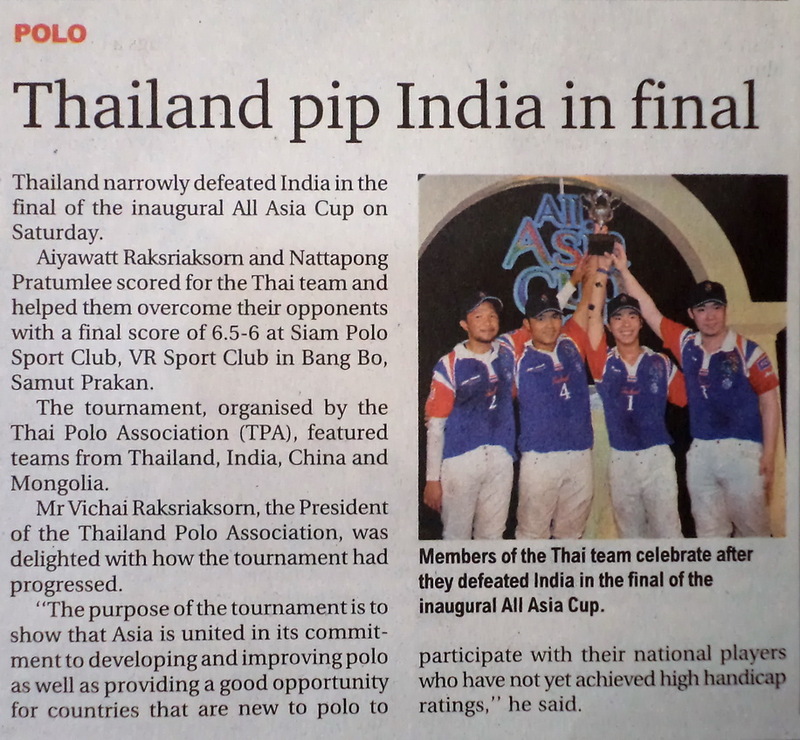 The All Asia Cup will provide an opportunity for the TPA (Thai Polo Association) to award the Mongol players with their first official handicap. 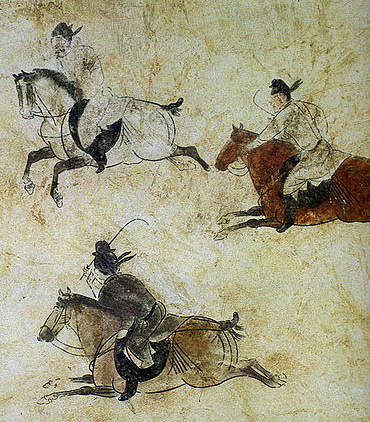 The Mongols have a proud history of having played polo in the middle ages, and the present renaissance is a hopeful sign that the extraordinary riding skills of the Mongols will have a chance to be seen around the world in modern polo. The first polo club in the world was established in Calcutta in 1862. British Calvary officers thought the sport of polo very fitting for developing young officers riding skills and teamwork, the the sport was very much in favor, and thus spread to England and then across the globe. Today, India is a great polo nation and recently qualified for the World Cup playoffs in Argentina. 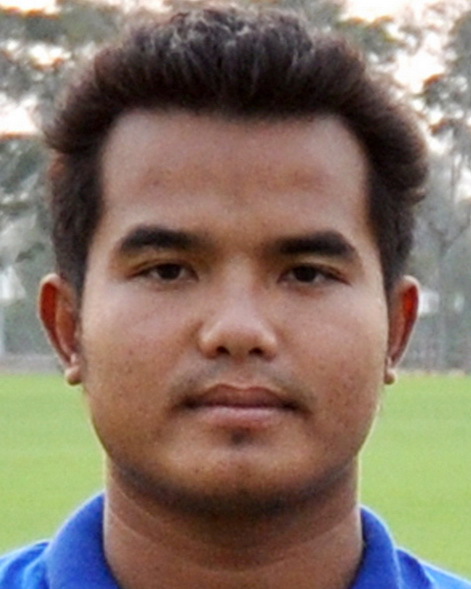 Shyam Mehta is regular player in Thailand. A lawyer by profession, he has been playing for over 20 years in India, France, Singapore, England and Thailand. He was part of the Indian team that played in the Heritage Cup in England in August 2011 and placed 3rd. 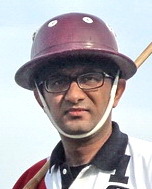 Shyam was the powerhorse behind organizing the Indian Polo Team to join the All Asia Cup. 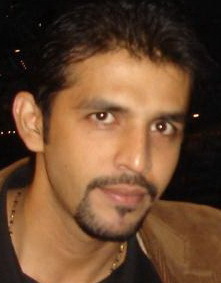 Sujay Shetty was born in 1966. He is currently a -1. He loves to travel, watch movies, and, above all, loves polo. 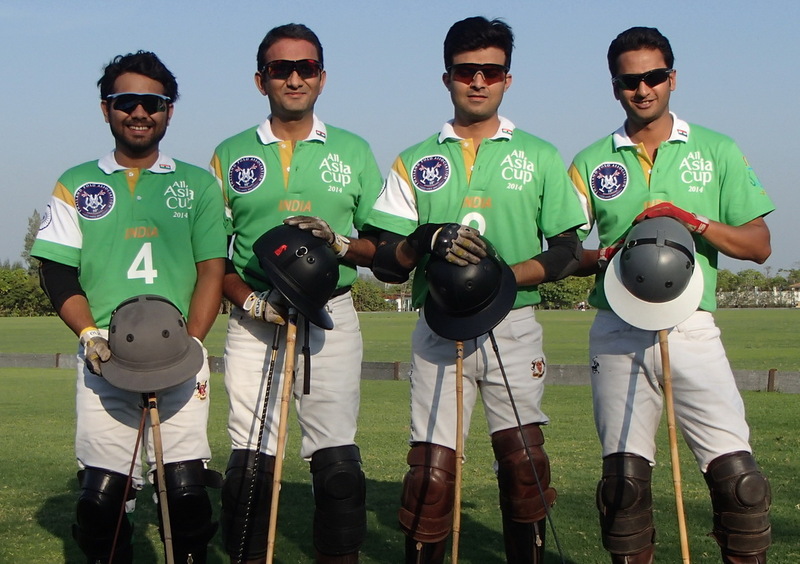 Mitesh Mehta is a passionate polo player who runs his own polo team in Mumbai. Handicapped at +1 he has been playing polo for over 10 years and has had opportunities to play in countries like Singapore and Pakistan. He pursued his passion for riding and polo at Amateur rider’s Club Mumbai, India and strongly believes in Sir Winston Churchill's saying that "Polo is your passport to the world." On the Professional front, he is a proud owner of his own business of refurbishing homes and offices which was started in early 2003. 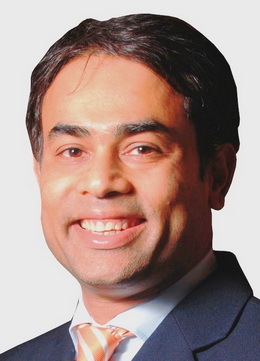 He has been actively involved in high end projects for big hotel groups like the Taj Group and the Oberoi Group. Further, to add to his portfolio, he caters to a wide spectrum of clients ranging from corporate houses to ministers and government bodies in India. For a passionate polo player, like himself, he is eagerly looking forward to coming to Thailand to play his favorite game there !! Abhimanyu Pathak playes off 3 goals. He was born in 1983, and has been playing for the last 6 years. He has played in Australia, New Zealand, South Africa, England, and he has represented India in a few international matches and played on the Indian Polo World Cup team in 2007. 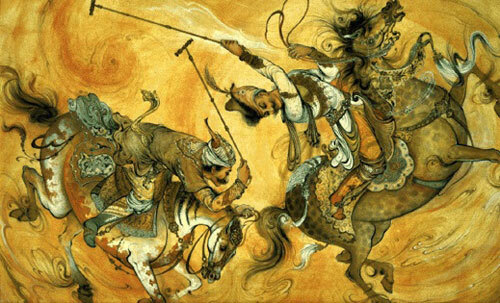 It is said that the Emperor of the Tang Dynasty played polo with his consorts in Xi'an almost 1,300 years ago. In the past ten years, China has rediscovered polo and the sport is growing rapidly with several clubs in Shanghai, Tianjin, and Beijing. Shilai Liu is the best polo player in China. Shilai won the 4-Goal champion in US Polo Association Tournament and played in many tournaments in India, Australia, UK Argentina and America. 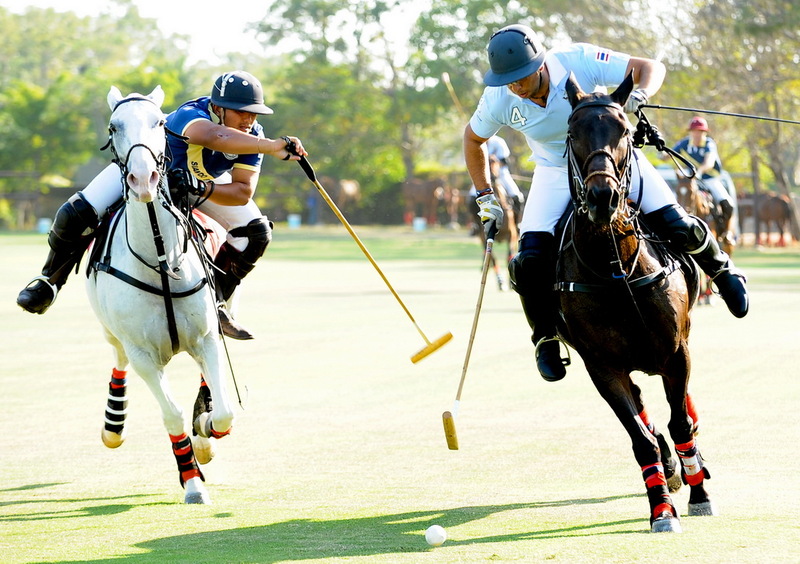 From 2011, he began to play high goal tournaments held by Argentina Polo Association. 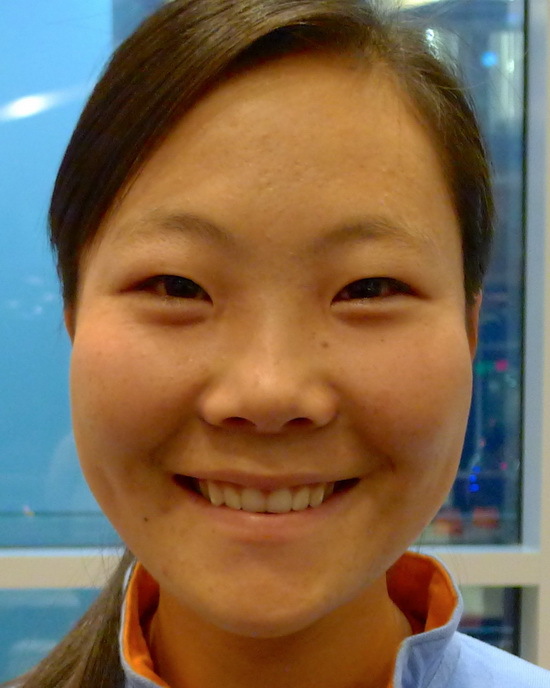 Shilai founded Tang Polo Club in 2010 and then started China Open since 2011. He is the vanguard of China polo and brings China polo to the whole world. His vision is make China Open welcomed and recognized by polo fans all around the world. Liu Shilai, the most powerful person in China Polo Society. Nan Liu is a representative of Chinese polo fans. The best partner of Liu Shilai in China. Nan played tournaments in many polo clubs in Argentina, Australia, America and India. 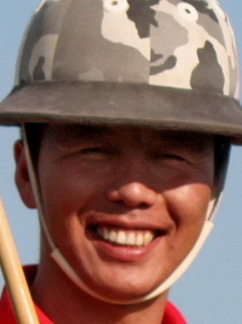 Diligen Baoyin is a member of the Tang Polo Club staff, and his Mongolian heritage confirms his prowess on a horse. 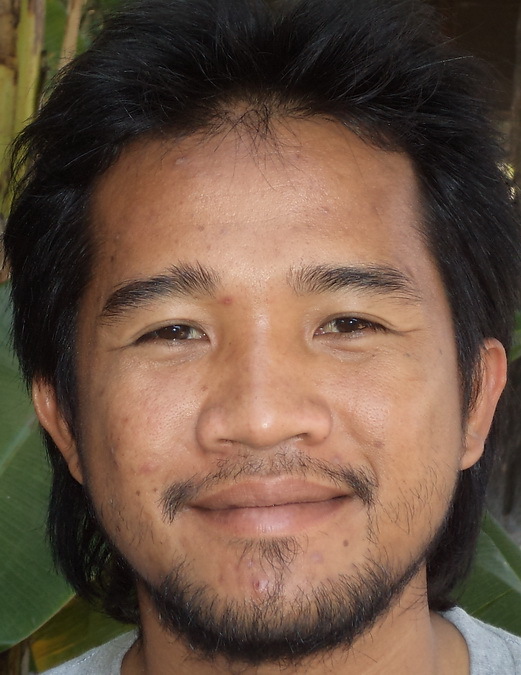 Dino Ma Asvaintra is a Thai-Chinese. Dino has lived and worked in China since 2001. His family has had a long association with and love of horses and both his grandfather and father owned and raced horses. Although, he has had exposure to horses from an early age, he only began playing polo in China in 2008 and is currently one of the China-bred "0" goal handicap players. Polo has become a passion for him and he truly loves the intensity, strategy, and camaraderie of the sport. 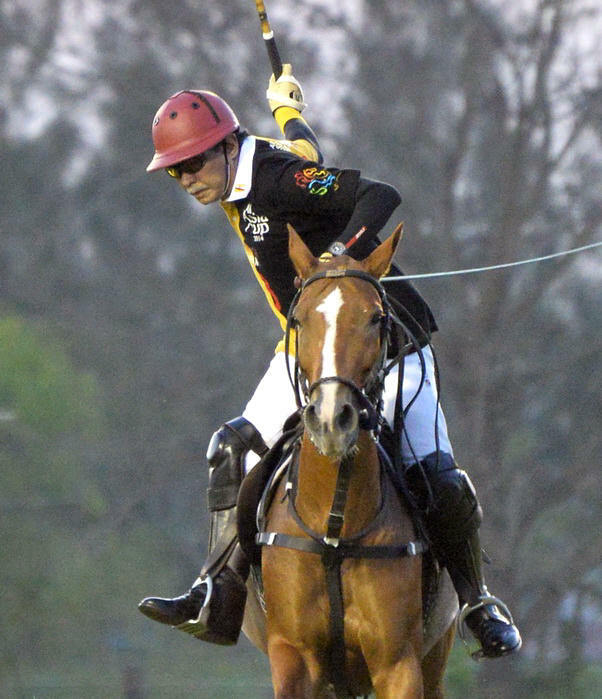 He has played in most of the major tournaments in China including the China Open, Royal Salute Gold Cup, Tang Polo Cup and Consul General’s Cup and regularly plays in Thailand as well as in the US, Argentina and Australia. 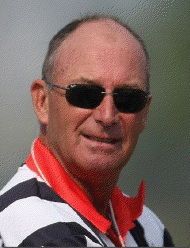 The Thailand Team finished Third in the SEA Games 2007, and Khun Vichai Raksriaksorn is the person responsible for having polo included in the 2007 Thailand SEA Games. 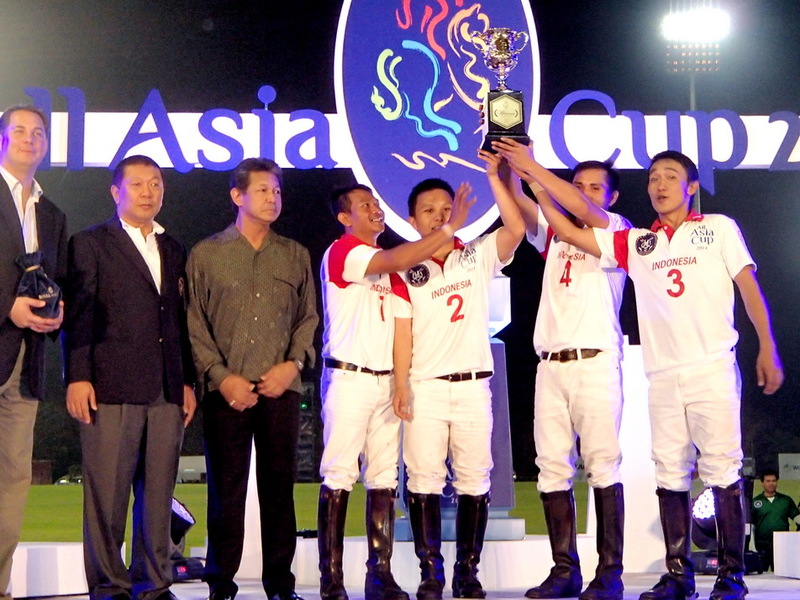 The tournament was such a success, that the All Asia Cup was created to keep this momentum, and show that Asia is united in its commitment to the development of polo in Asia. It is hoped that if polo can continue to develop in Asia, then one day, it will be possible to have polo included as an Olympic sport once again, since the last time it was played at the 1936 Olympiad in Berlin, Germany. Top Raksriaksorn has represented Thailand and is a very talented player. He was on the Thailand International team for the 2007 SEA games. He has also played with Prince Charles and Prince William in various Charity tournaments in England. Top has played in Argentina, UK, Dubai in many international tournamnets. 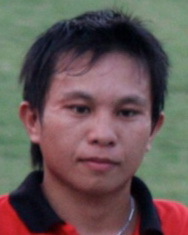 Tal Raksriaksorn played on the 2007 Thailand SEA Games team that received a Bronze medal. 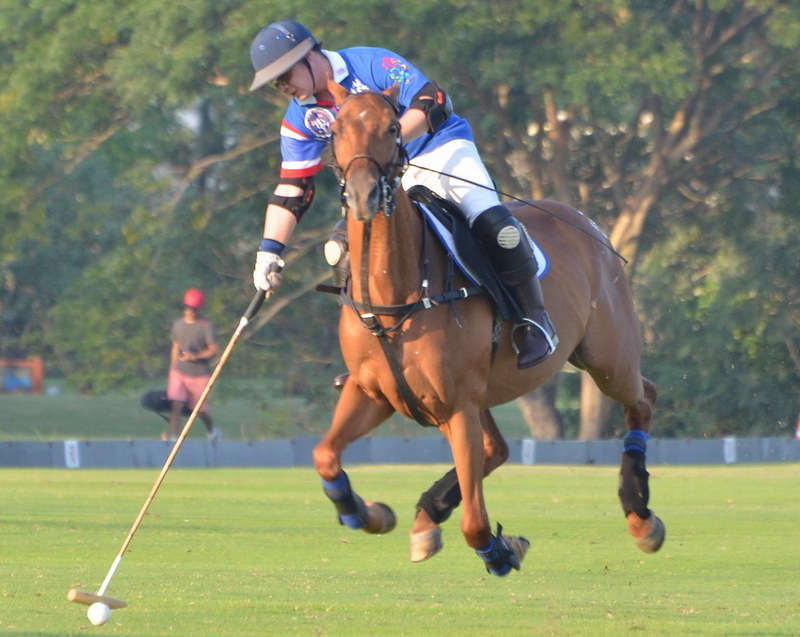 He is a very keen polo player and has played with his brother in UK, Dubai, Argentina and Thailand. Tal is a very strong team player. 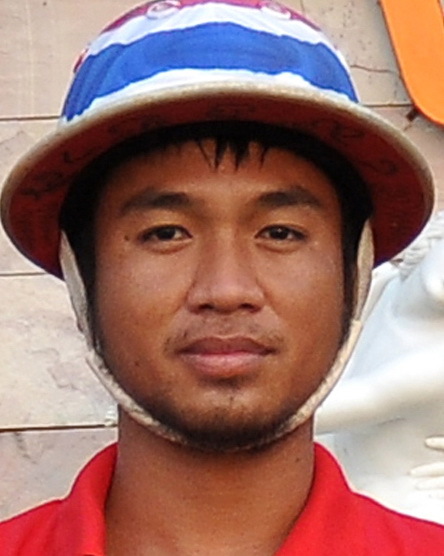 Nat Pratumlee is Thailand's highest handicapped player. He has played in UK, Argentina and in USA where he studied under Reggie Ludwig for two years. Khun Nat is a very sturdy back on the Thai National team. 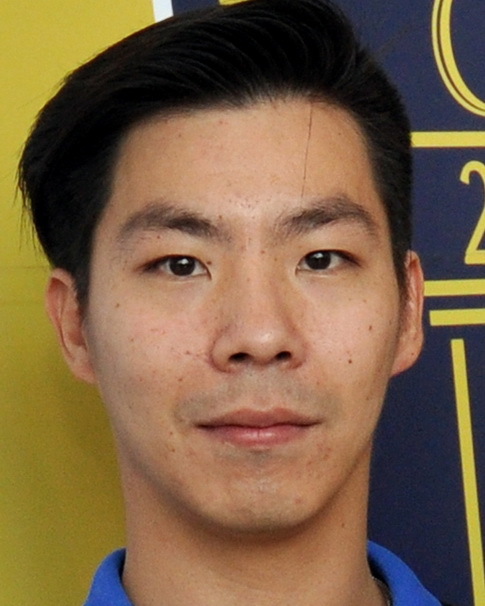 Tsu Chuawangkham is from Muktahan, and has played for Thailand in the SEA games and in several international tournaments. During the summer, the Thai team travels to England to practice at the King Power polo club near Ascot. The horses have been organized into 5 categories: (A-Excellent) (B-Very good) (C-Easy for Beginners) (D-Strong for Pros) (E-Difficult Spares). (Category A horses begin with 1. Category B horses begin with 2. Category C horses begin with 3. Category D horses begin with 4.) Each GROUP of 16 horses will have an equal distribution of A,B,C,D horses. 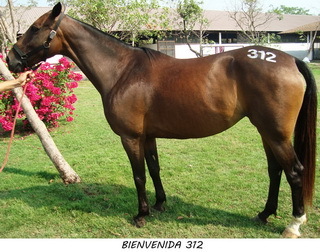 Each horse will have a number on its rump and a photo taken of the horse with a description of the horse characteristics. 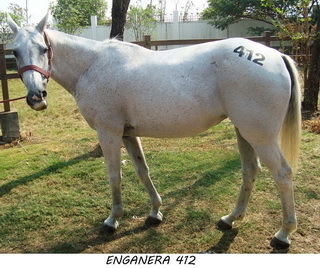 The Groups of horses will not change after being finalized on 08 Jan 2012. A team will be randomly chosen from a hat at 3pm on 09 Jan. Then the representative of that team with select their Group of horses from another hat (Group 1,2,3,4). They will receive a list of names of horses with the brief description of the horses in their Group. 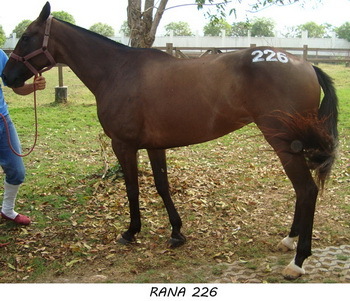 They may then chose to ride a selection of these horses from 4-6pm on 09 Jan 2012 at the SPP field. If any of the horses in a particular group become lame during the tournament, they will be replaced with a E category horse. The incentive is to take care of your horses. The Umpires will be very strict in their definition of fouls to protect the horses and the players. This tournament is organized to promote clean safe polo with equal opportunity for all teams. If their are any questions at any time during the tournament, they can be directed to the Horsemaster and Chief Umpire Tim Keyte. The tournament will be officiated under HPA rules. Good luck. Each horse will be numbered. After the draw, each team will receive a list with their horse's Numbers, Names, and Description similar to this sample below. A quiet horse, she listens very well to all commands. She is one of the best horses in the club. Not a very fast horse, but she is easy to control and play. A very calm horse. She has a smooth gait, but is more of a beginner's horse. 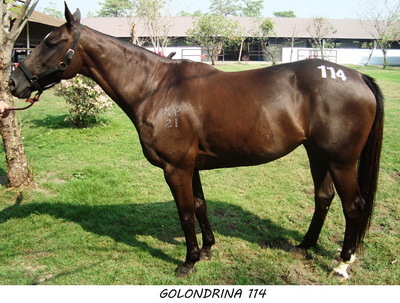 A horse best suited for professionals. She goes very fast, but can sometimes get nervous. Compiled by Mitesh Mehta. Polo is perhaps the most ancient of games, when history was a legend, we find polo flourishing. Twelve hundred years ago the Persians were playing it, and the Chinese maintain that their ancestors played it thousands of years ago. 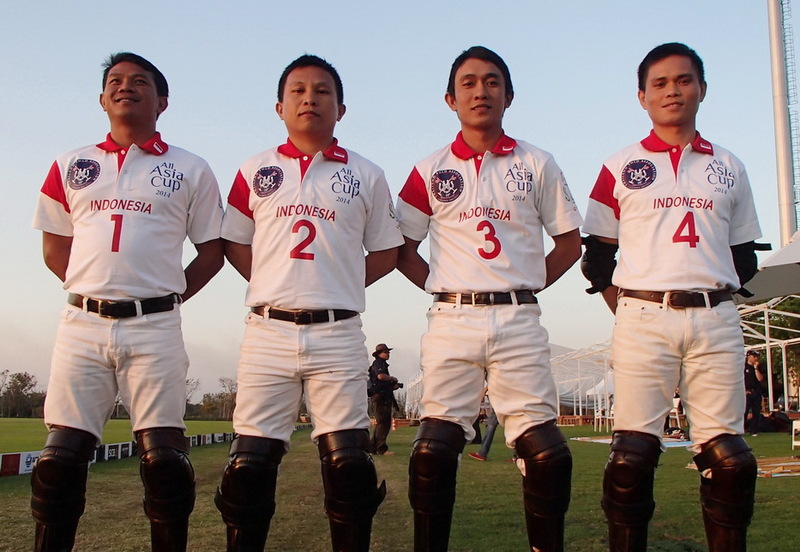 The modern game of polo, though formalized and popularized by the British is derived from Manipur (now a state in India). Polo can be called an indigenous game of this country, as it has been played in India for centuries, and has produced some of the finest players namely Major Kishan Singh, Kr. Bijay Singh, Rao Raja Hanut Singh and H.H. Maharaja of Jaipur, whose names have become a household word to all sport-lovers. In 1862 the first polo club, Calcutta Polo Club, was established which is the oldest polo club in the world still in existence. The game's governing body in the United Kingdom is the Hurlingham Polo Association, which drew up the first set of formal British rules in 1874, many of which are still in existence. Polo today in India is governed by The Indian Polo Association which was formed in the year 1892. Indian Armed Forces and many Civil Teams are now patronizing the flourishing sport and which was proved with India finishing 6th in the standing of the recently concluded 9th FIP World Cup Finals 2011 in Argentina. Modern Polo players of India today have already set their foot on foreign soil and soon will be part of the elite list of players in times to come.